My mom would gladly confirm I have NEVER been a fan of peas, so isn’t it swell that the love of my life happens to be a fan of such vegetable. 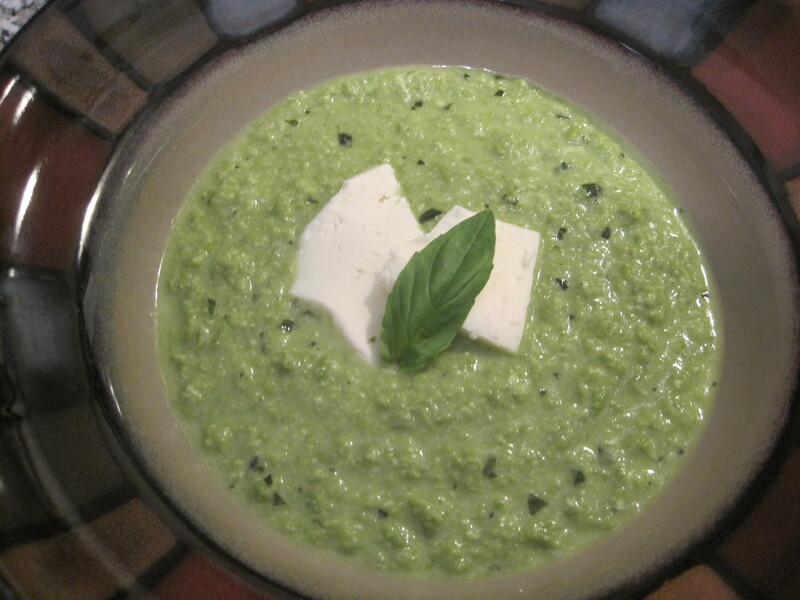 A recipe we saw on TV caught his eye and he’s been asking me to try it out but I decided to add two things which would make the soup much better for my taste buds, lots of basil and of course heavy cream. 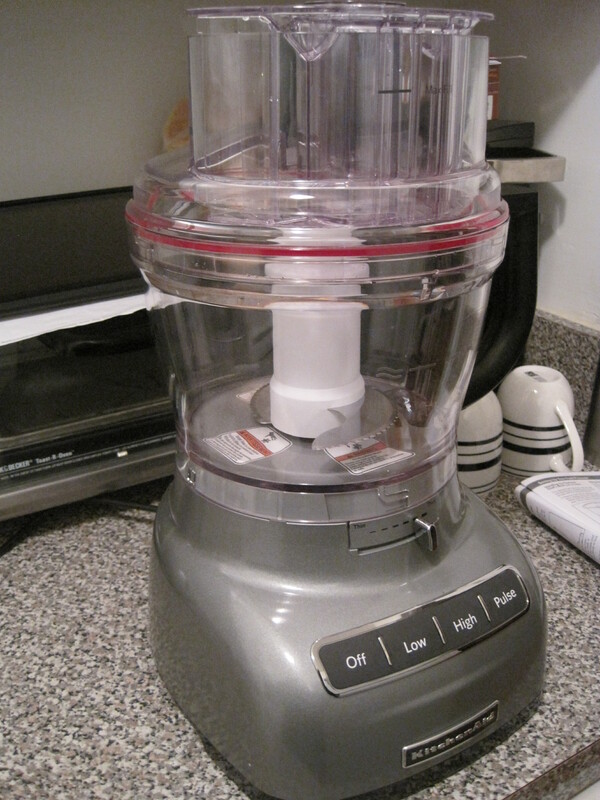 This also gave me the opportunity to use my new food processor which he so kindly gifted me on Christmas. You should have seen how my eyes lit up when I opened it! On a cold night go ahead and pair this soup with a mozzarella and tomato Panini or throw in some grilled jumbo shrimp with garlic croutons and you have a terrific one bowl meal. 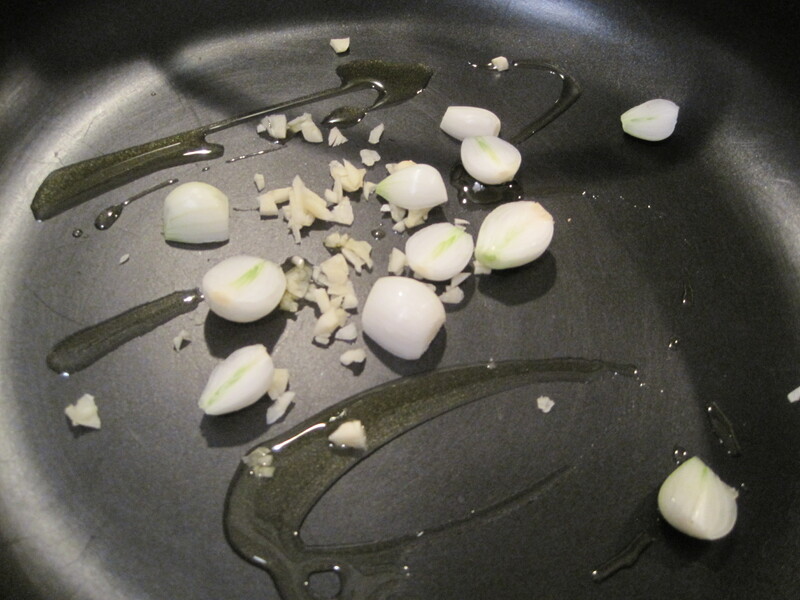 – In a sauce pan brown the garlic and pearl onions in a tablespoon of olive oil. 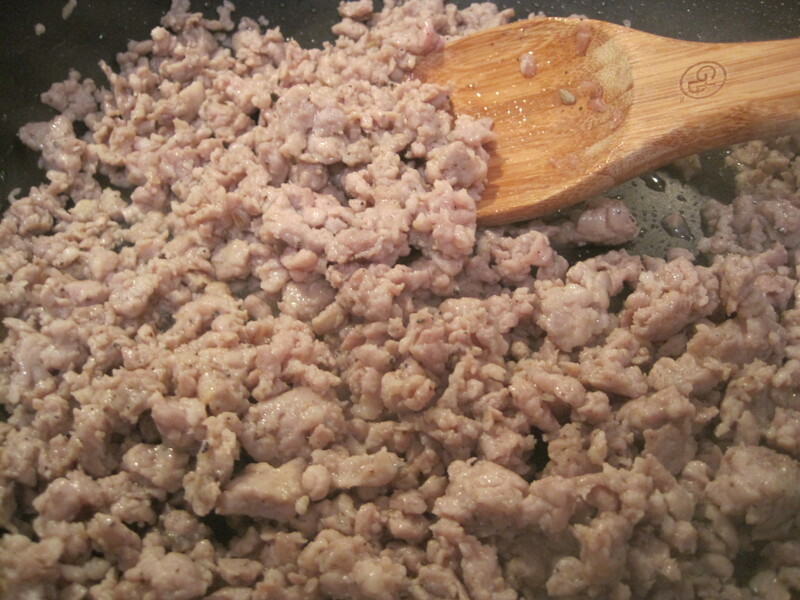 – Then add in 1 cup of the chicken broth and season with salt, pepper and garlic powder. 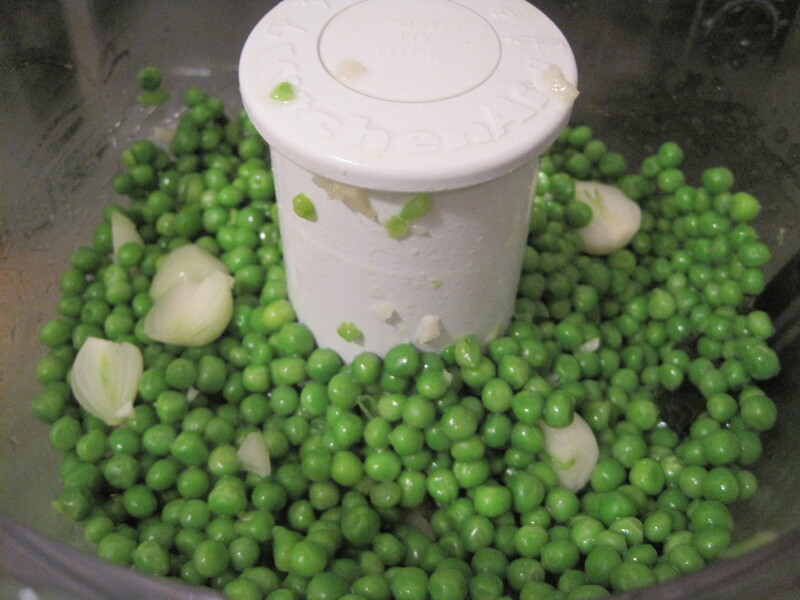 – Next throw in the frozen peas and let simmer covered on low. 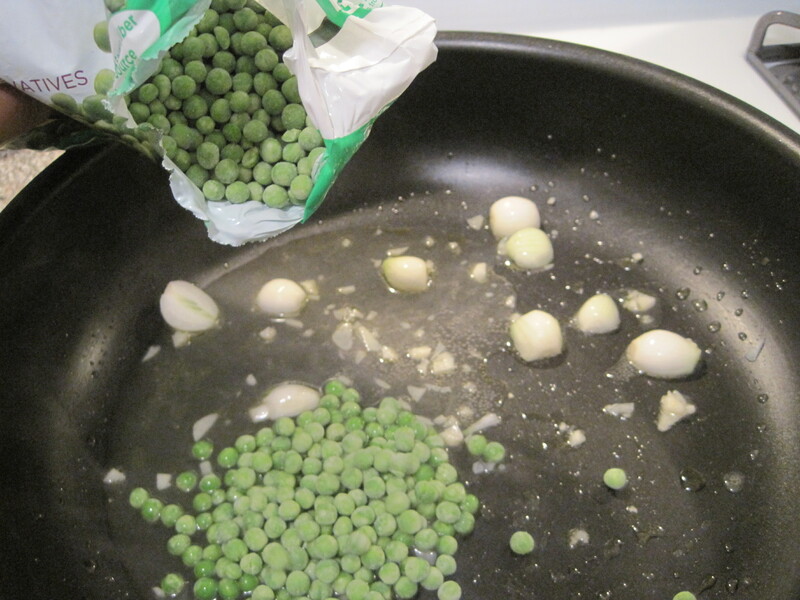 – When peas are cooked through throw in a couple of basil leaves, drizzle olive oil then mix. 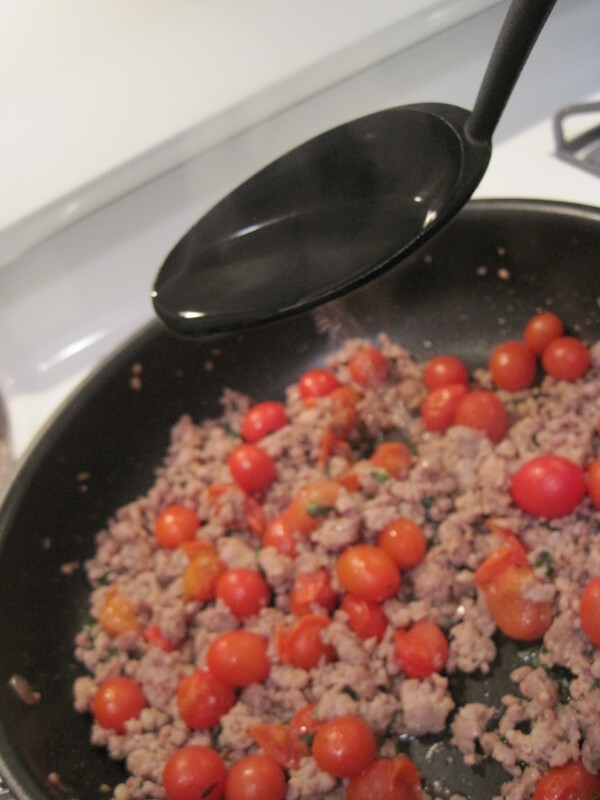 – Keep simmering until the basil is wilted then remove pan from flame. 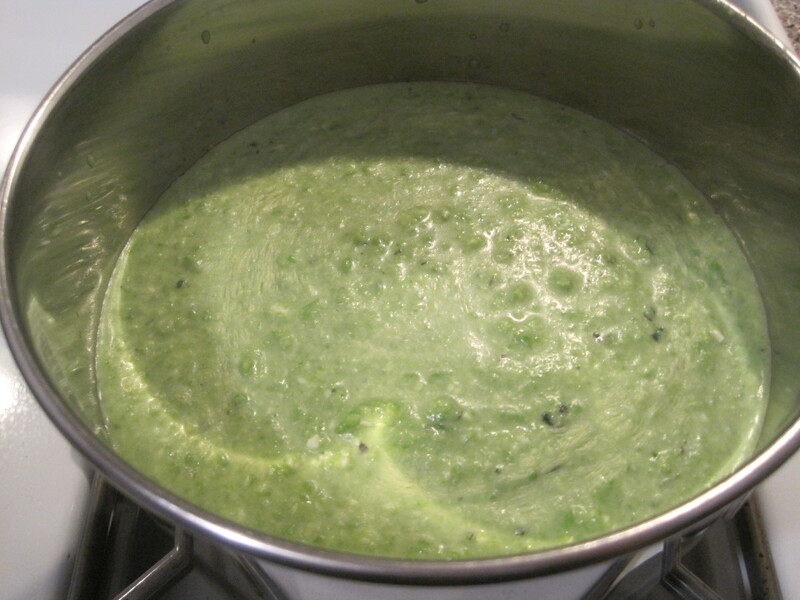 *Must let mix cool down for five minutes before transferring to the food processor. – Process on low till contents are chopped. * You may need to stop the processor & push food down the sides to make sure all pieces get chopped. 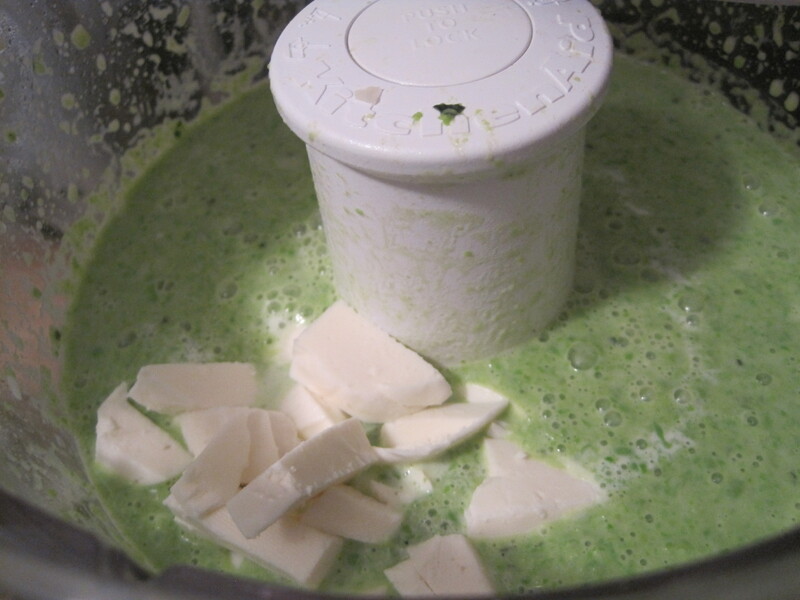 – As you are chopping on low add the 1 cup of heavy cream through the small feeding tube. 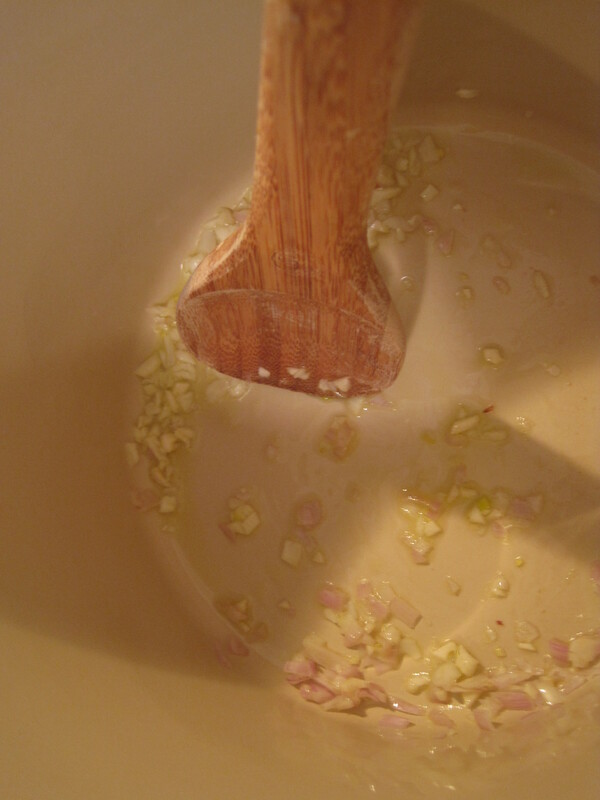 * The mix should begin to turn a light green color. 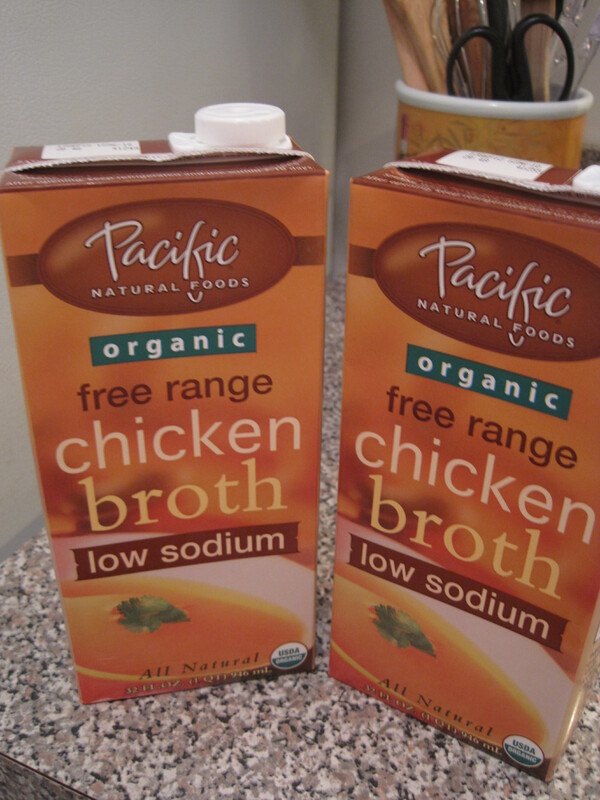 – You can stop the chopping & open up the bowl to add in the last cup of chicken broth along with the mozzarella. 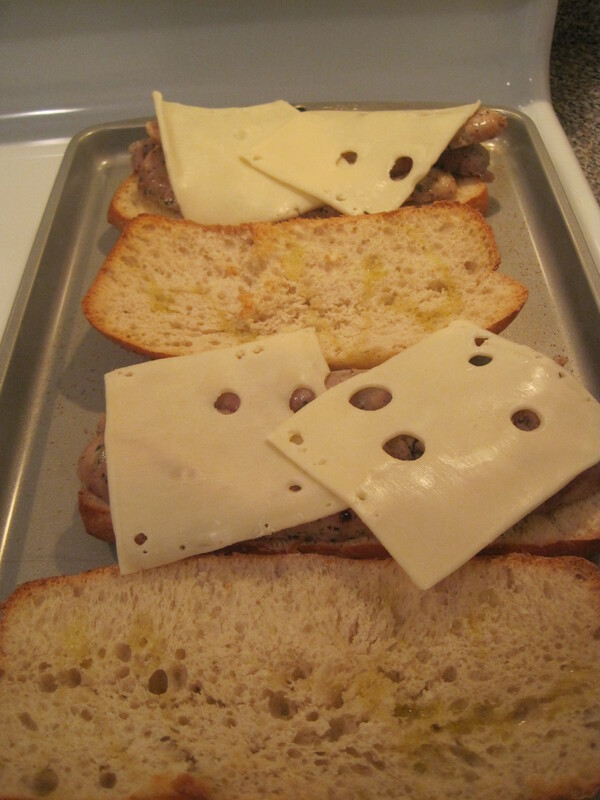 * Keep a couple of slices off to the side for garnish when completed. 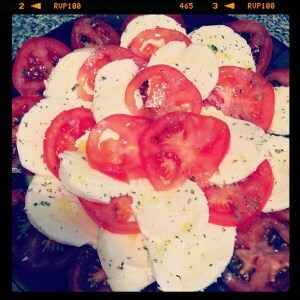 – Again chop on low speed till the mozzarella is chopped and combined. – Next open up again and add the last of the basil leaves. 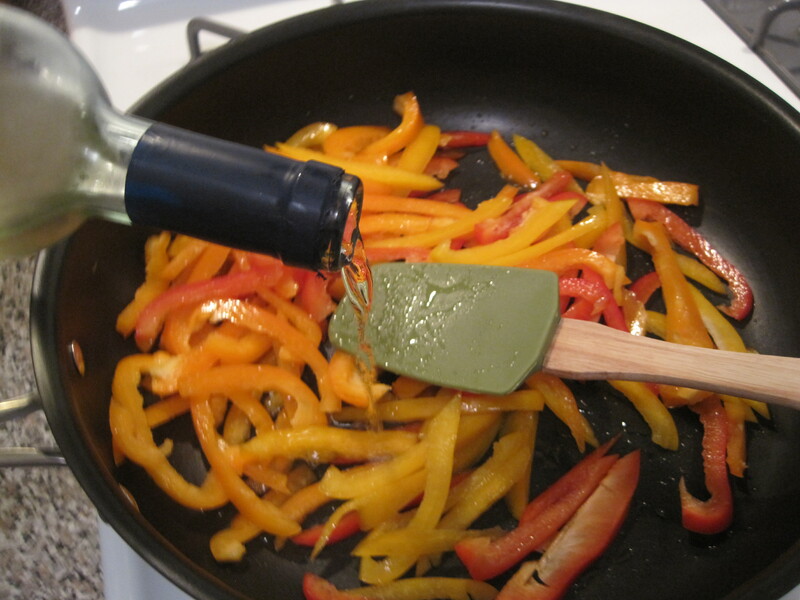 * Keep a couple of small leaves off to the side for garnish when completed. 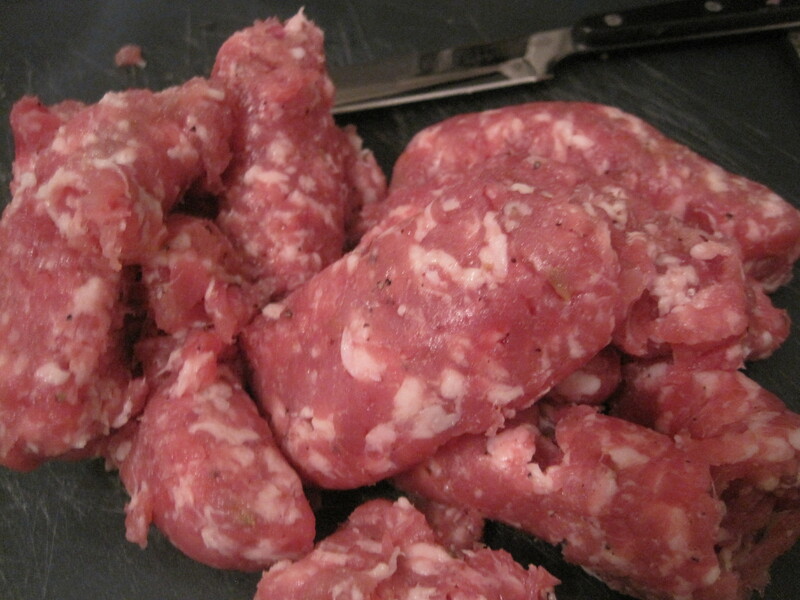 – Once more chop on low then transfer the contents to a pot. 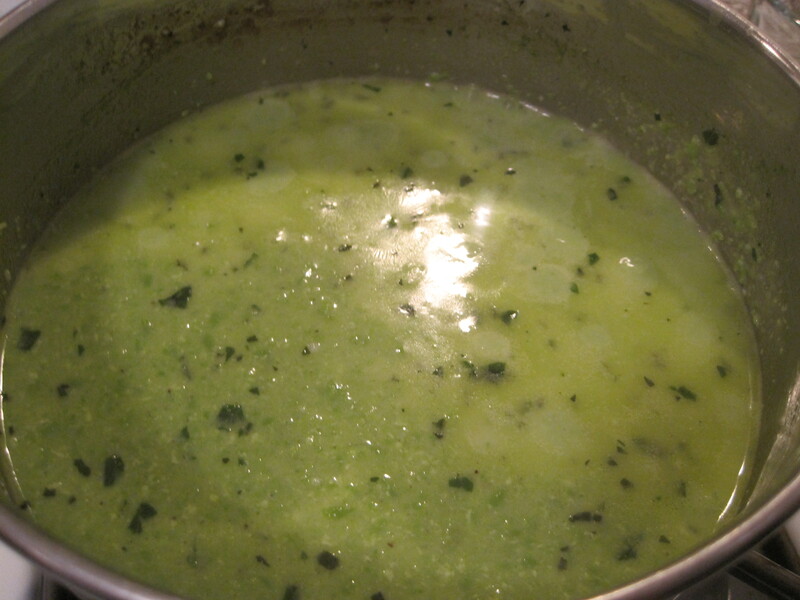 – Heat stove on medium heat and be sure to spin the soup often if not the mozzarella in the soup will burn at the bottom or to the sides of the pot. 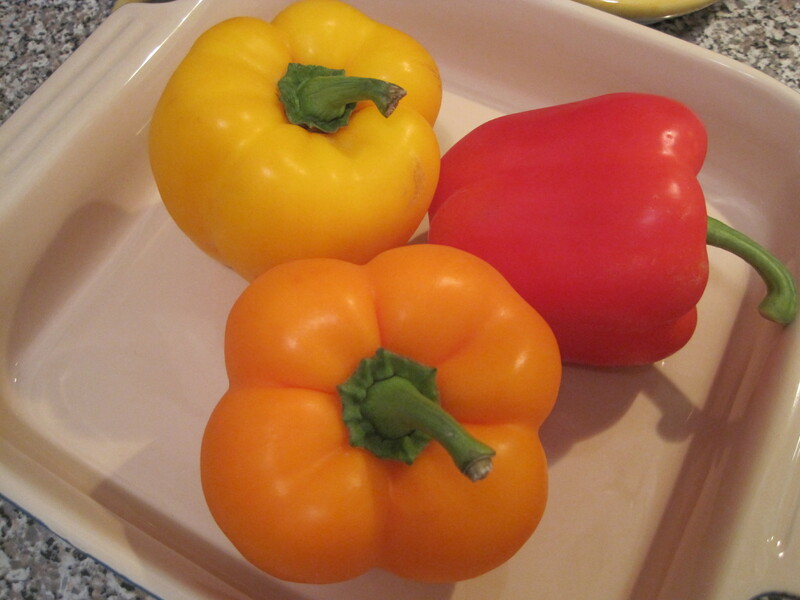 – You can season soup with salt, pepper and garlic powder then mix. 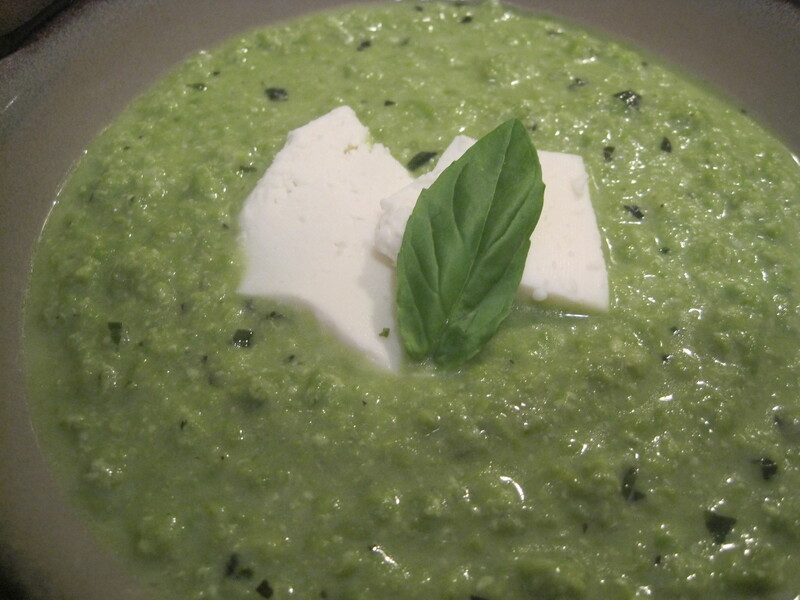 – Once soup is heated place in bowl and garnish with mozzarella and basil leaf. *As mentioned before you can always add in a protein to the soup to make a meal in one bowl or pair the soup with your favorite Panini. Cookery for Two is feeling a bit under the weather and as the temperature cool’s down a new pot of soup was the craving last night. 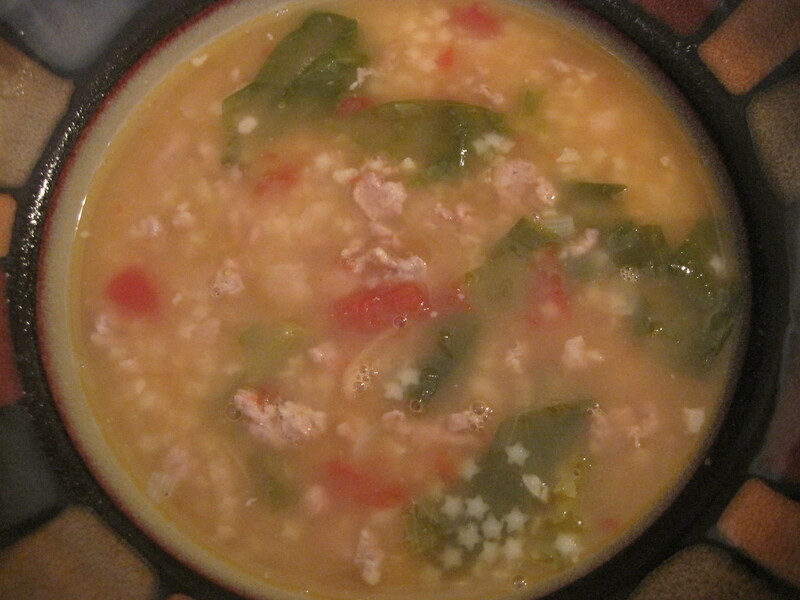 Browned sausage crumbles thrown into a chicken stock and tomato broth; add in escarole, cannellini beans and dainty pastina pasta. The melding of textures and flavors left my body warm and relaxed to enjoy the evening and then off to bed early because besides soup nothing beats a cold more than sleep! 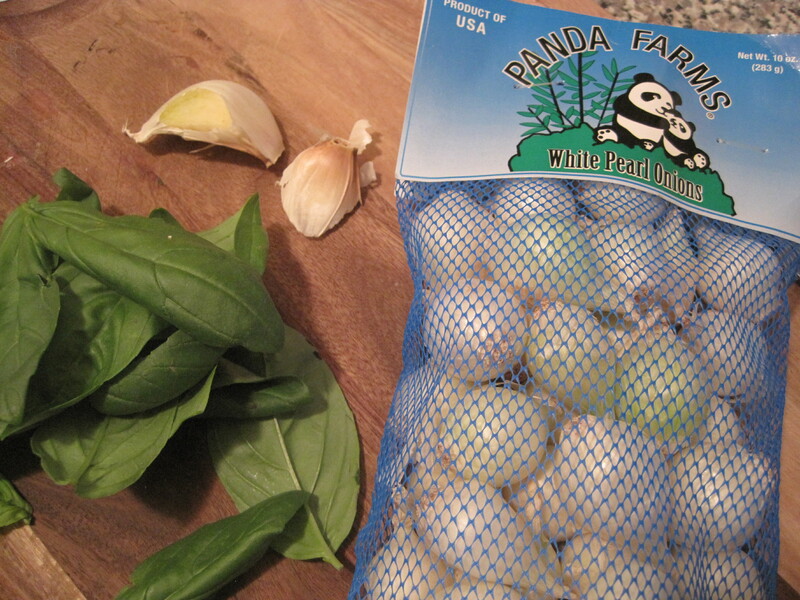 – Chop up the shallot and garlic and let brown in a drizzle of olive oil at the bottom of your soup pot. 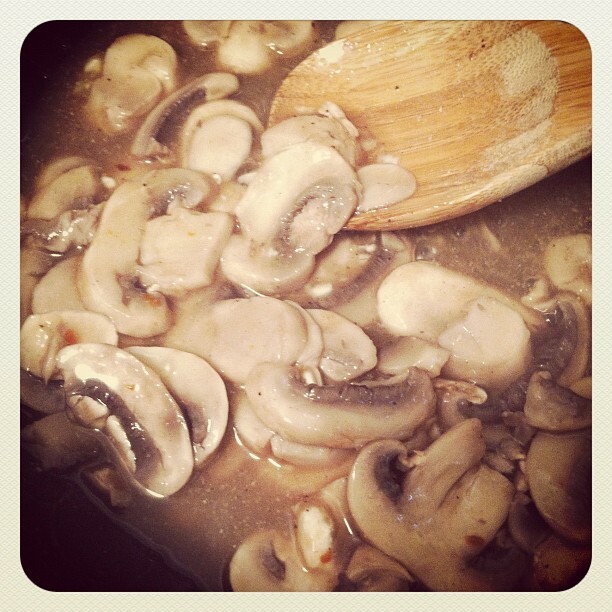 – When nicely cooked through add in both boxes of chicken stock and red wine, stir to scrape up any bits at the bottom of the pot. 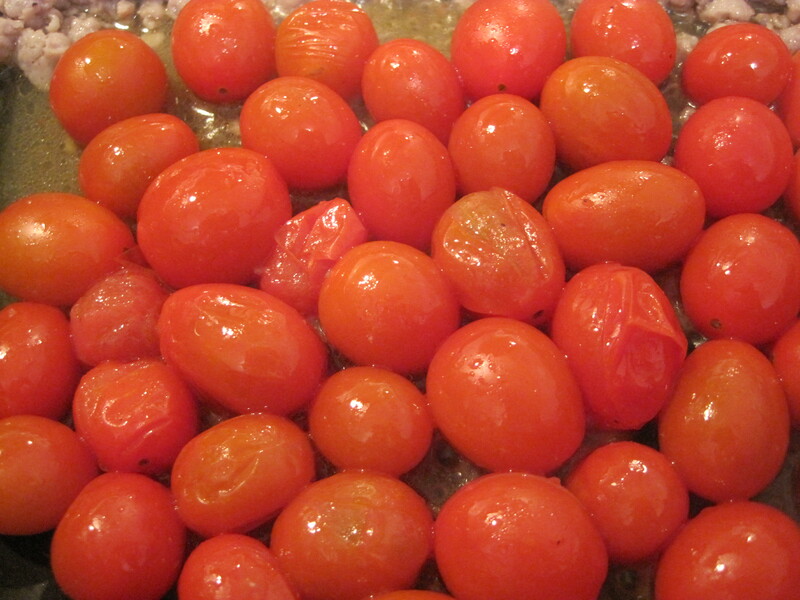 – Put on low heat while you dice up only about 6 of the tomatoes from the can. 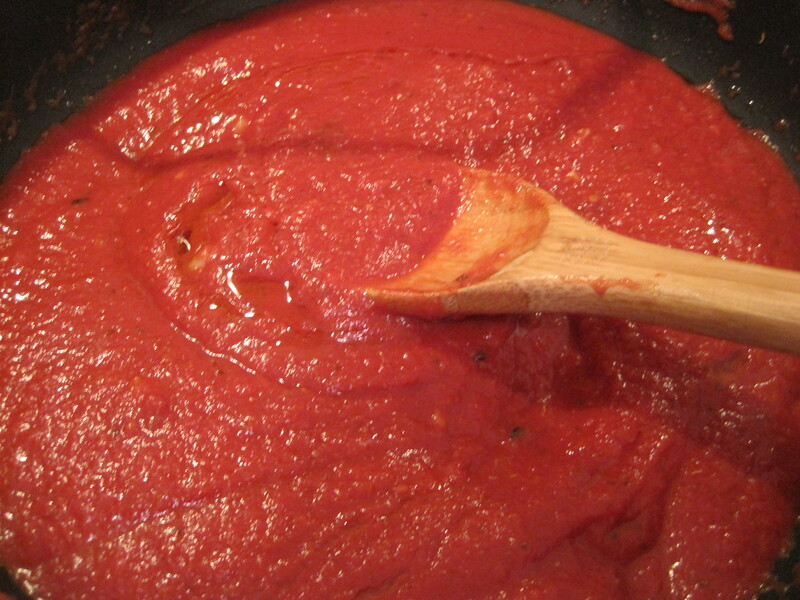 *Note: You will not need all of the tomatoes or the sauce. You can reserve for later in the week to make pasta sauce or such. 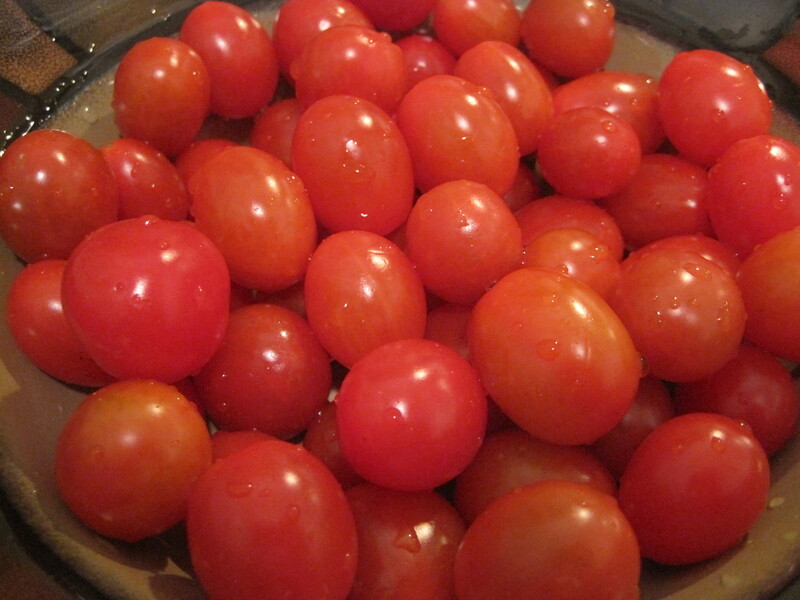 – Now add in the diced tomatoes to the pot, stir and season liquid with a pinch of salt, pepper and garlic powder. 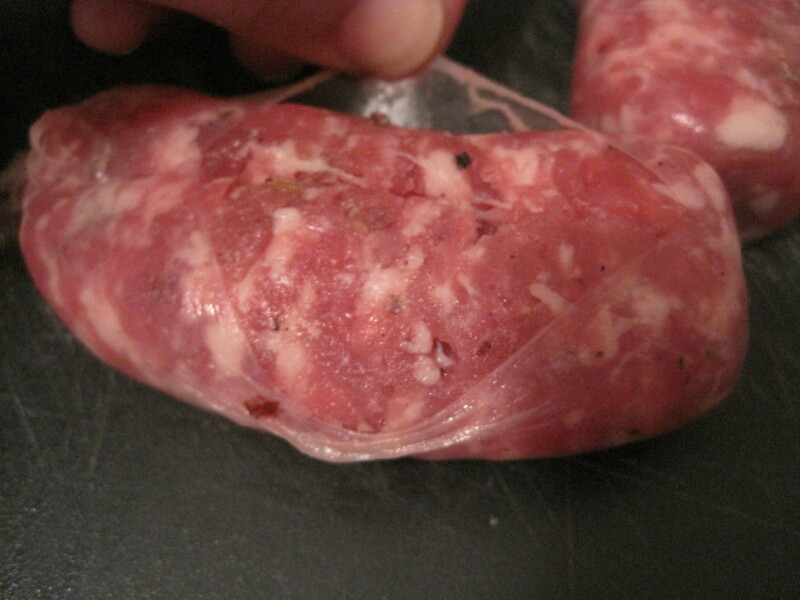 – Now take sausage and cut casing and remove the meat from each link. 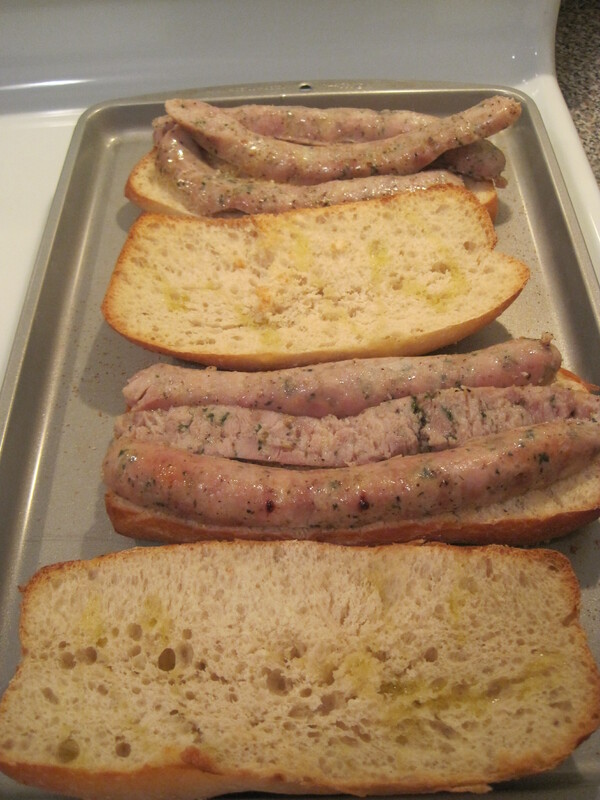 *Note: Be sure to season the sausage crumbles with salt, pepper and garlic powder. 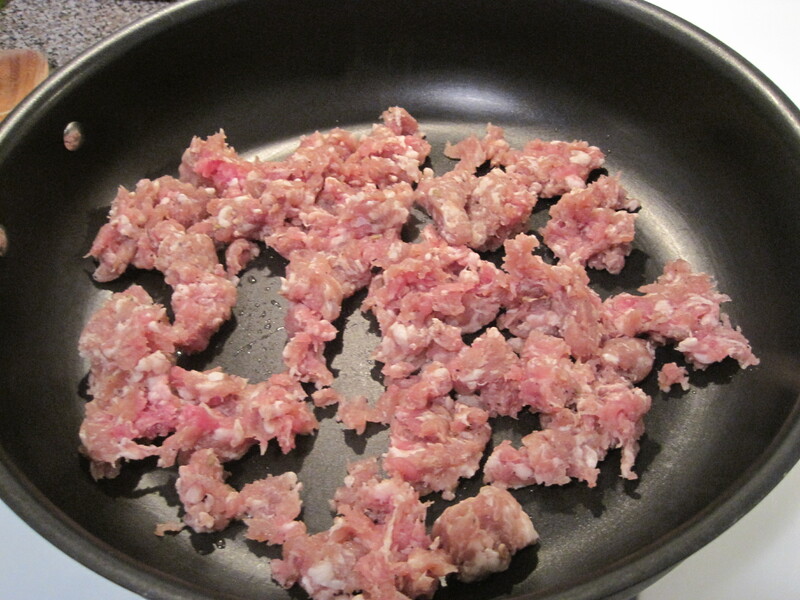 – Crumble up all your meat into a heated pan with olive oil and brown the sausage. 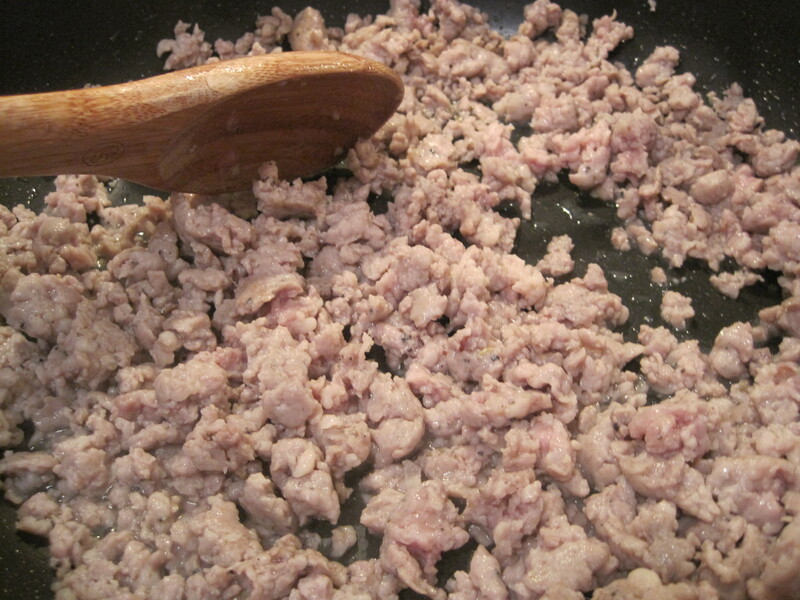 – Once meat is cooked through add to the liquid in the soup pot. 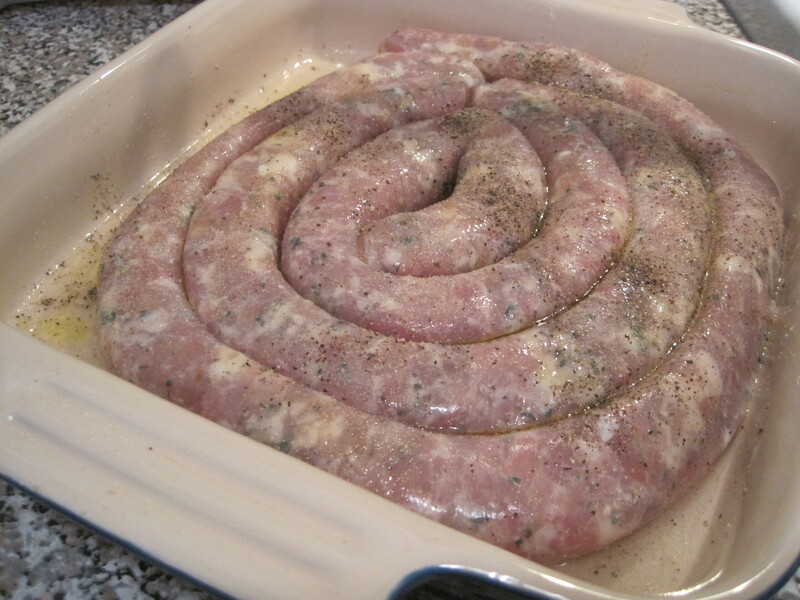 – After the meat throw in the can of cannellini beans (drained). 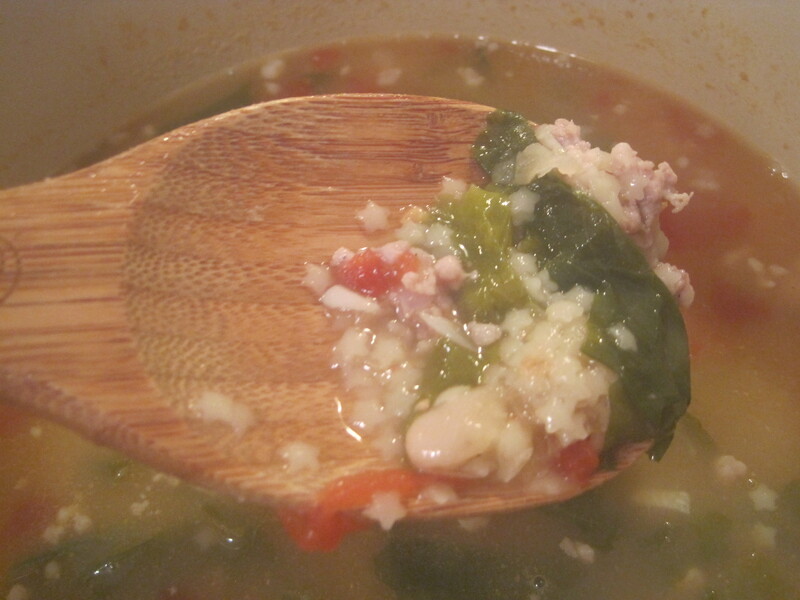 – Now higher the heat and bring the soup to a boil and then throw in the pastina to cook. 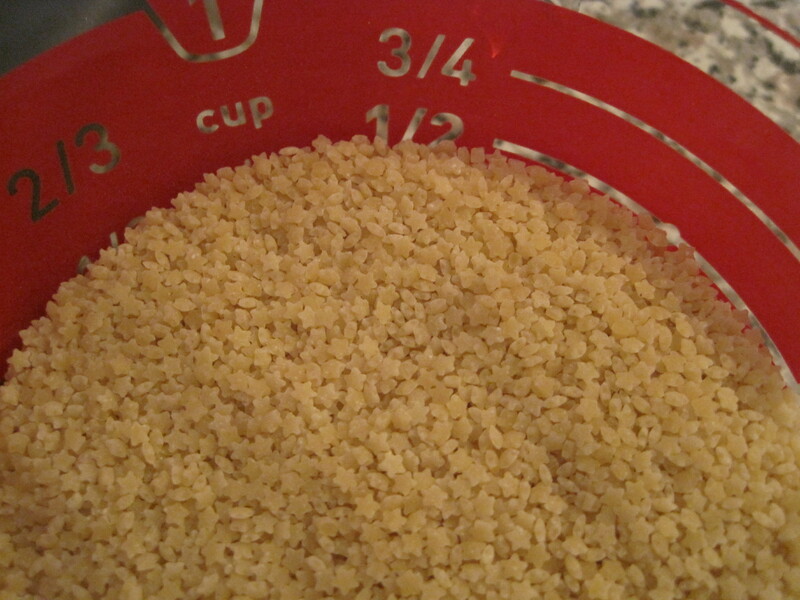 – Keep stirring so pastina will not stick to the bottom of the pot. 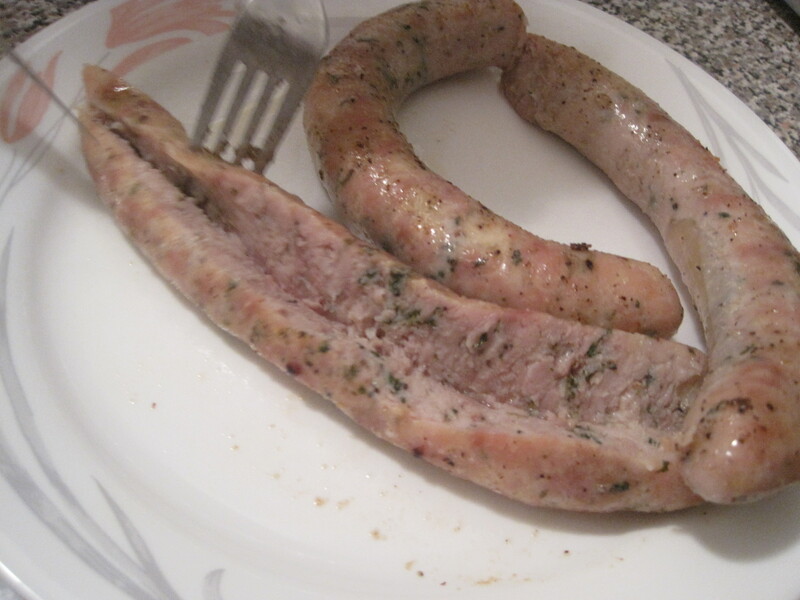 – Once pastina cooked through you can now prepare the escarole. – Put pot on low heat again. 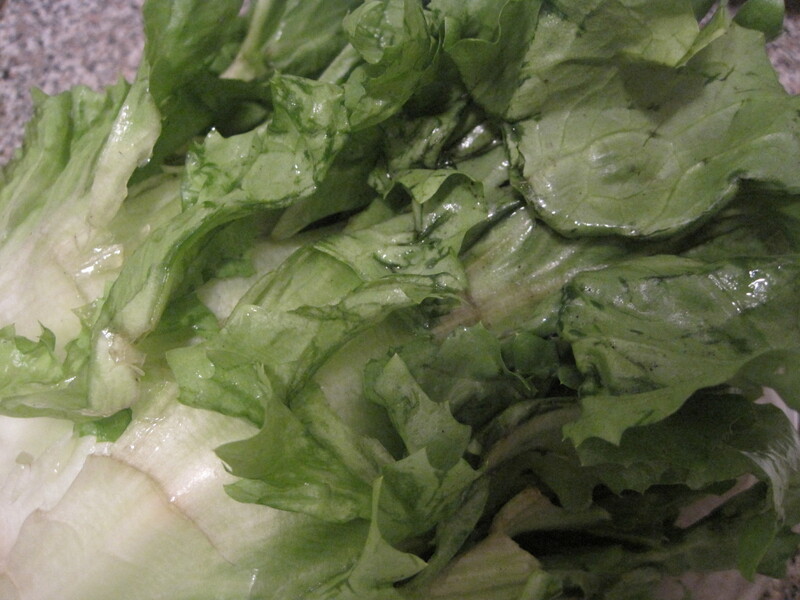 – Chop the escarole and only use the greenest parts of the leaves. *Note: I’m not sure about the condition of escarole for others – but every time I buy it they always seem to be very dirty with sand and such. Be sure to clean your chopped leaves very well with cold water till the water run’s clear. 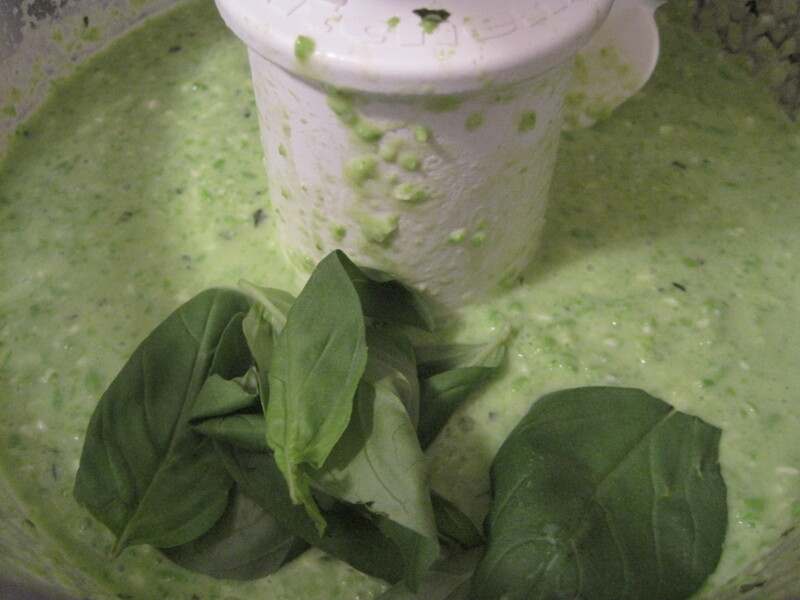 – Once cleaned thoroughly throw the leaves into the soup pot. 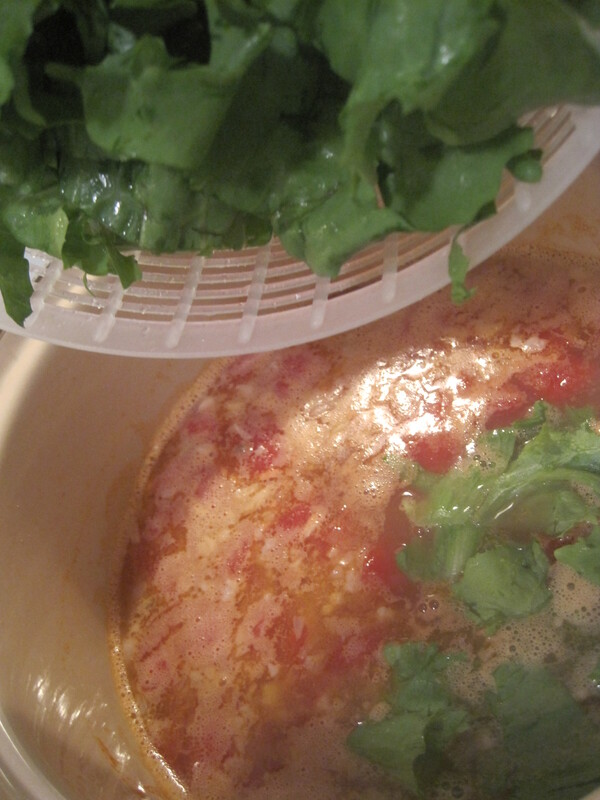 – Continue to keep the soup on low and spin periodically for about other 20 or so minutes. 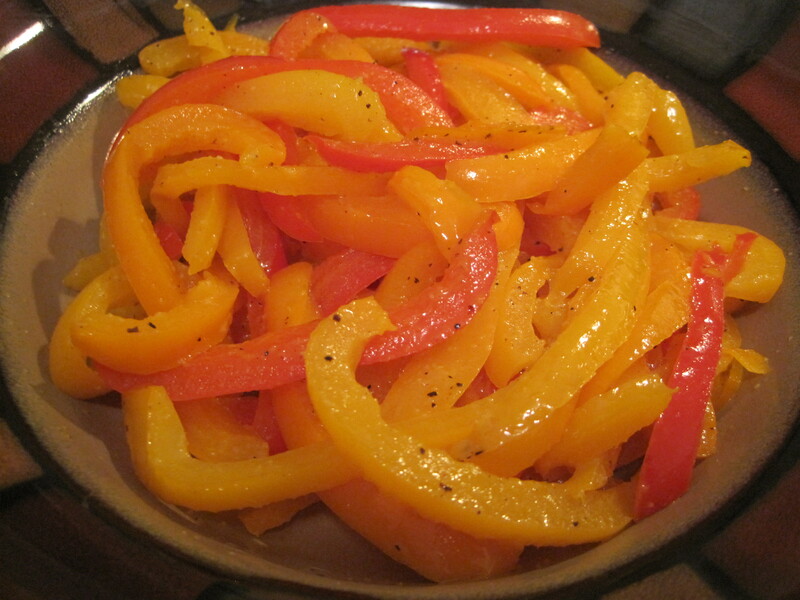 – You can also add seasonings to taste if you feel it needs something more. *I think the most important thing about this soup in particular is the base of chicken stock, the tomatoes, the red wine and seasonings. 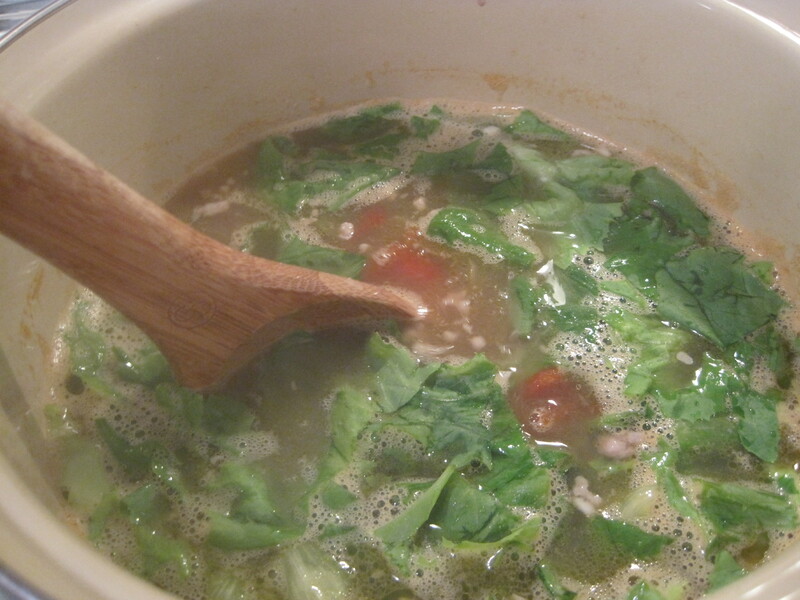 *Again as always with soup it’s very versatile so you can incorporate any vegetables you want. *You can also swap the protein here – try Shrimp even! 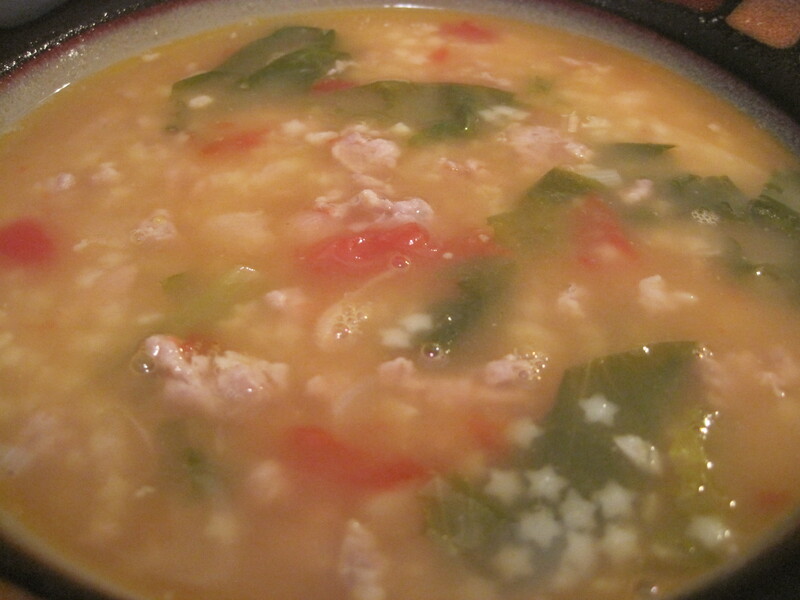 *Think different for your starch too – try Arborio rice in soup instead of pasta. Let’s be real most recipes for vodka sauce call for such a minimal amount of vodka that the vodka is really not even a necessary ingredient. 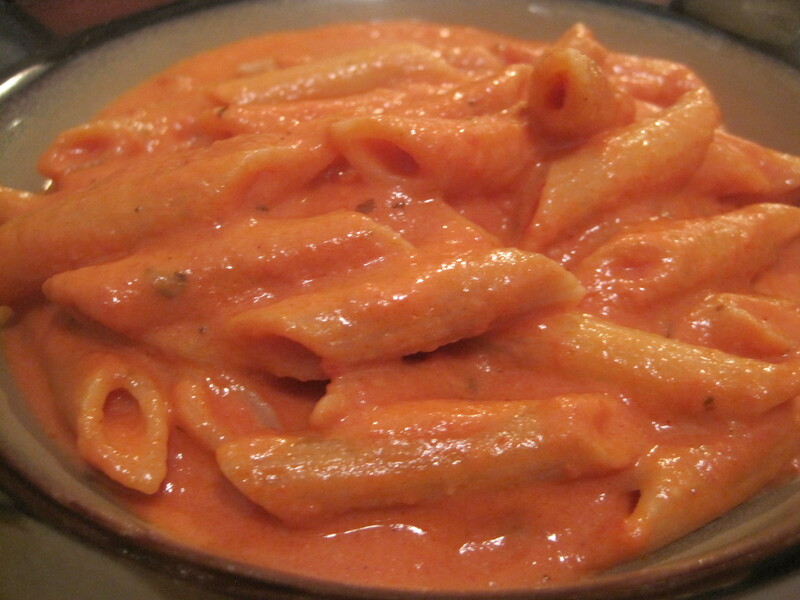 In fact you could really call vodka sauce a tomato cream sauce because that’s just what it is. The most important base for this recipe is a great tomato sauce with the addition of a buttered heavy cream. Pour this rich and creamy sauce over hot pasta and sprinkle with grated parmesan. 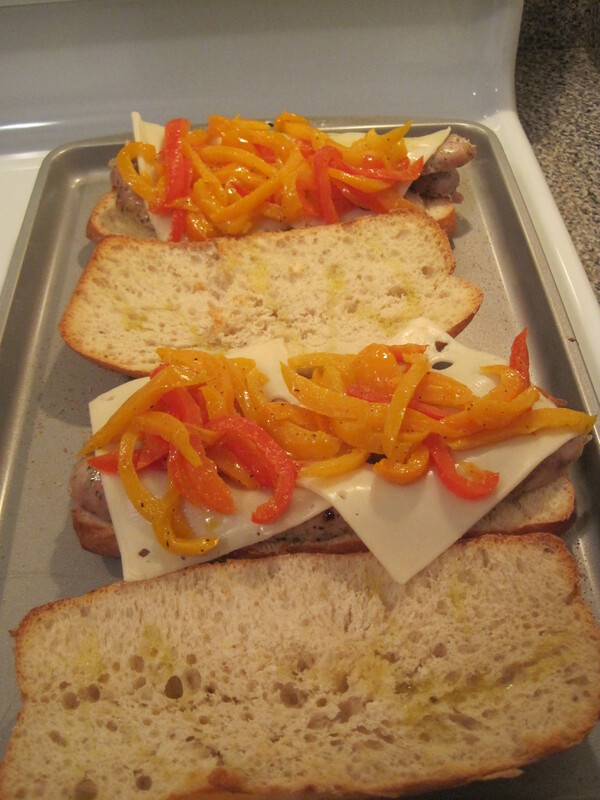 It’s simple, minimal in ingredients and sure to be a crowd pleaser. 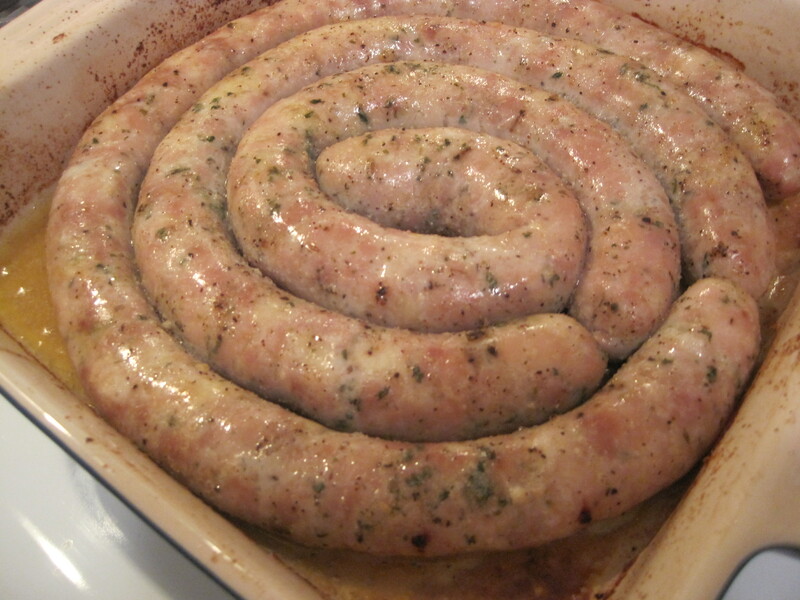 -In a sauce pan brown the garlic in the olive oil. 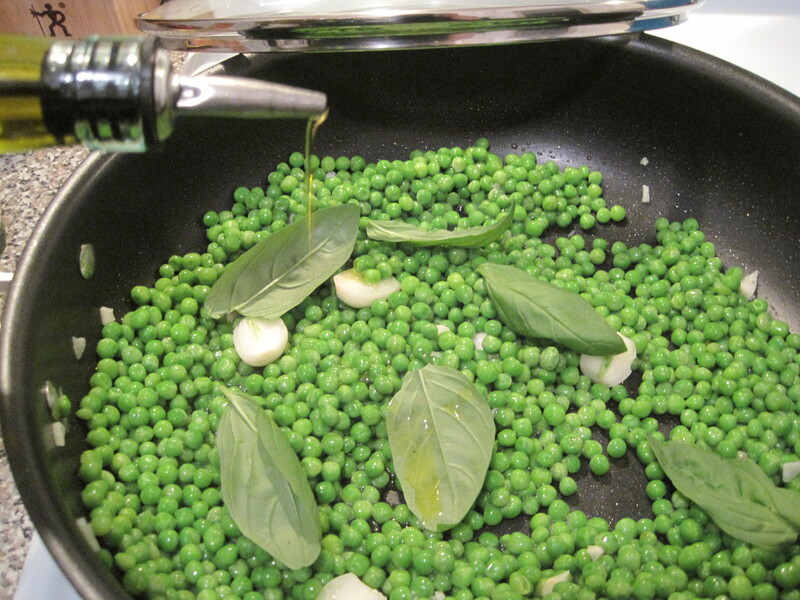 – Now throw the basil into the oil. 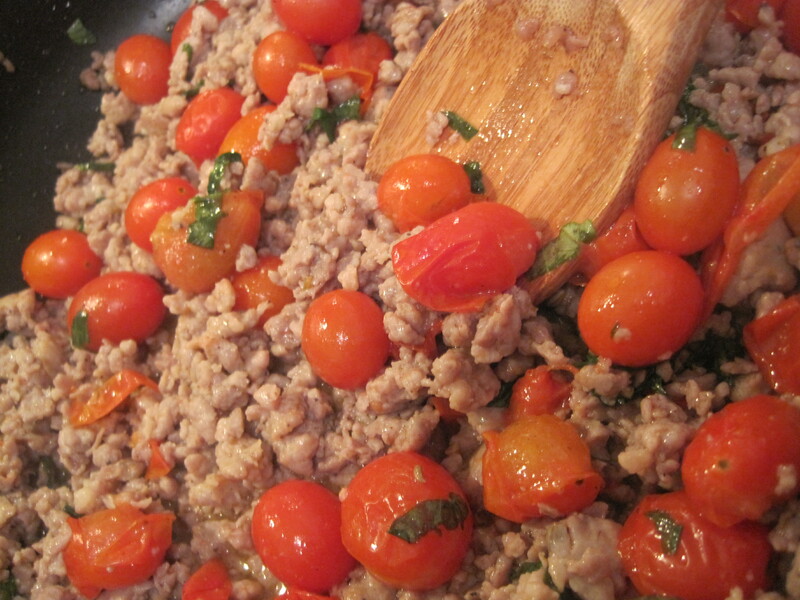 – Then add in the can of crushed tomatoes and the red wine. 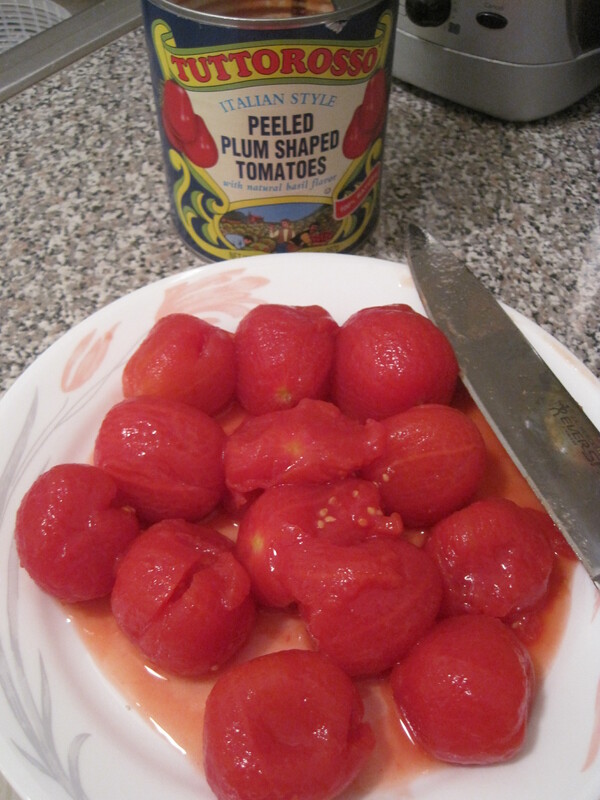 – Now put in the tomato paste and sprinkle in salt, pepper, garlic power and hot pepper flakes to taste. 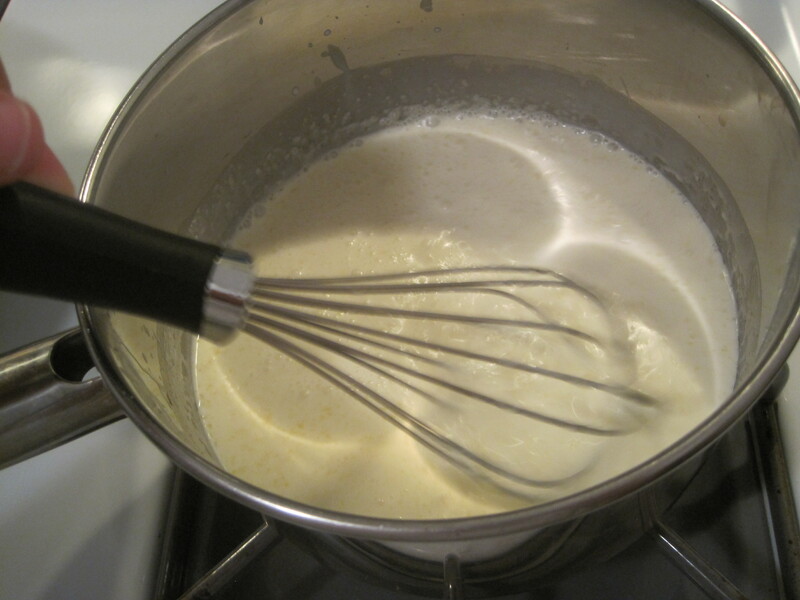 – Spin all together and cover to let simmer on low heat while preparing the heavy cream. 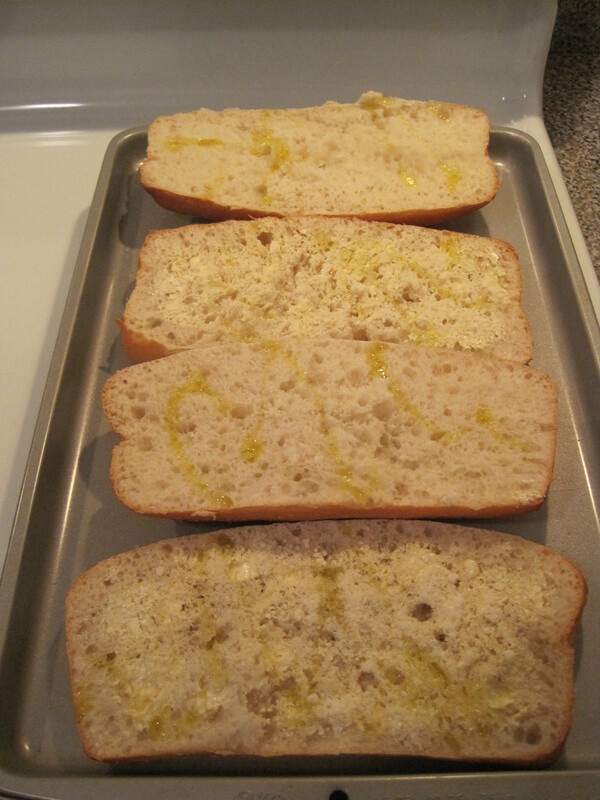 – In a separate sauce pan melt the butter on medium heat. 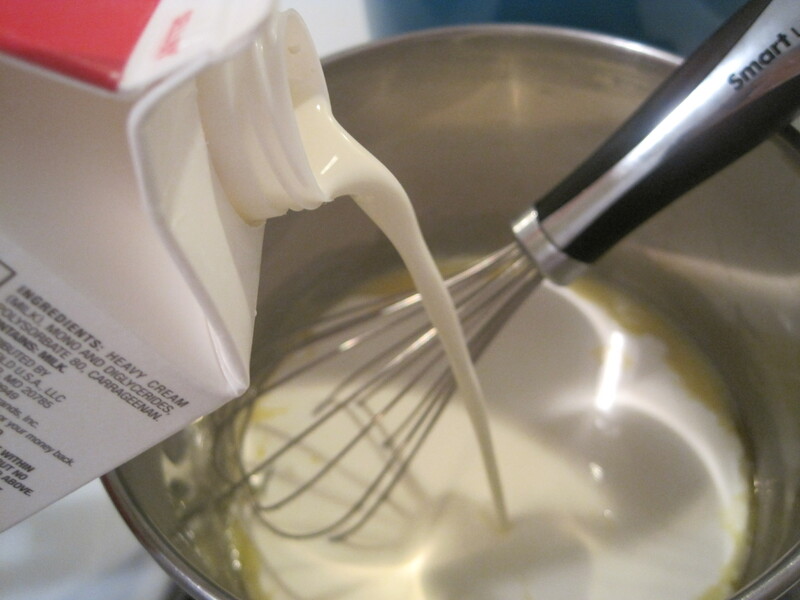 – Once melted add in the heavy cream. 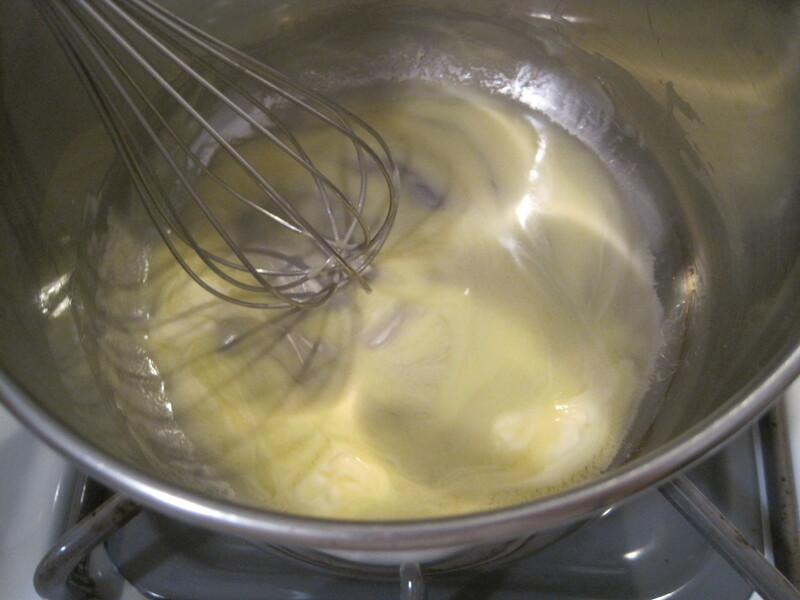 – Very often you must whisk the heavy cream as it heats up. 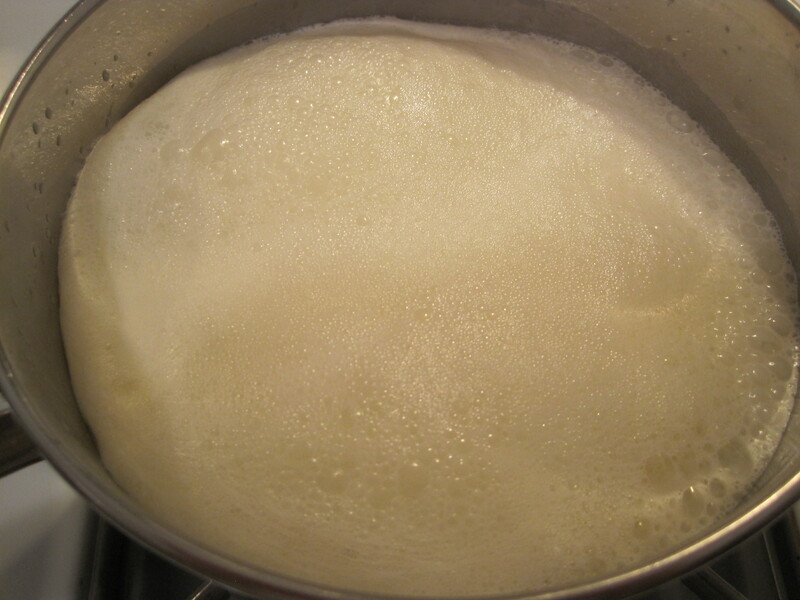 – You will notice the heavy cream will start to foam up and you will have to whisk so it does not overflow. – After this goes on for about a minute or so you can lower the heat and simmer on low for another minute but continue whisking. 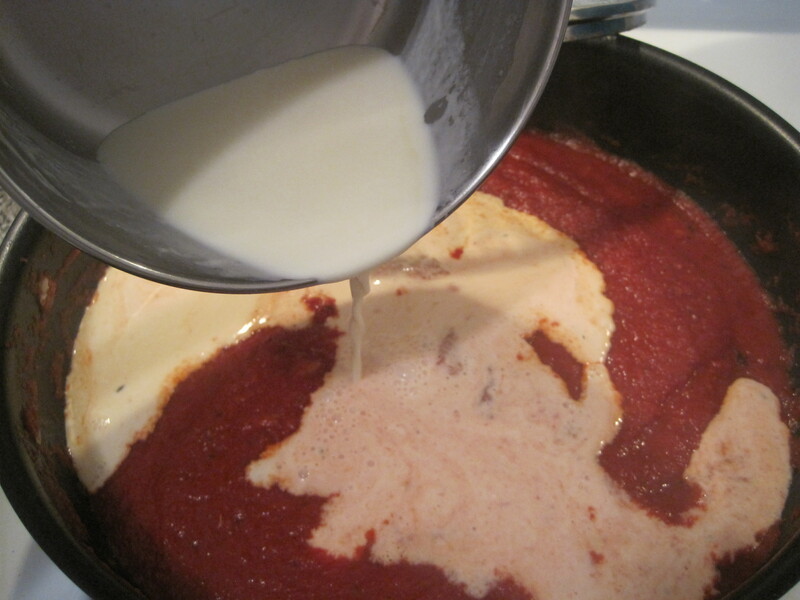 – When completed add the heavy cream to the tomato sauce. 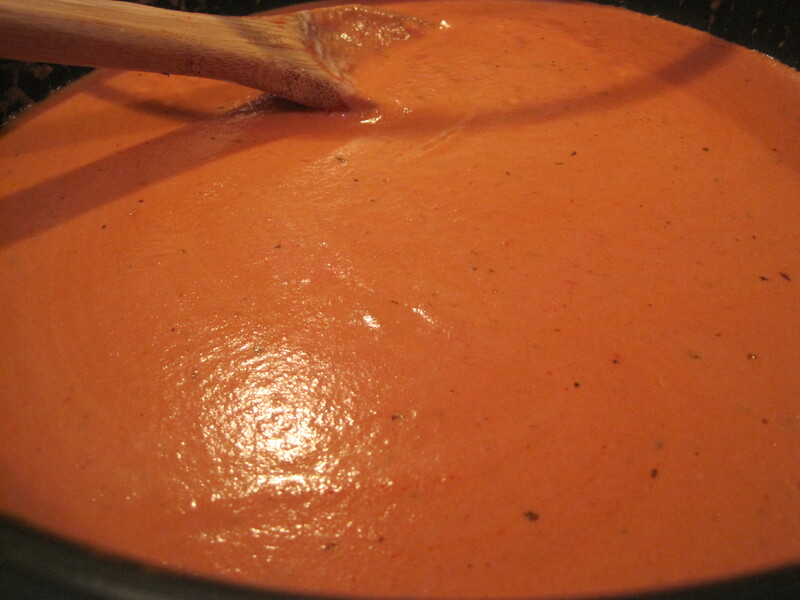 – Be sure the heavy cream and tomato sauce is melded together. 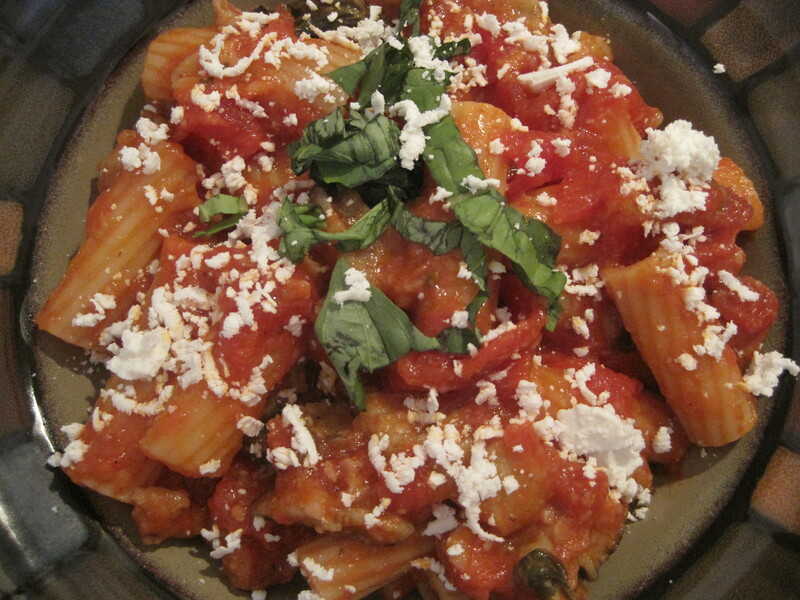 – Keep simmering on low while you boil the penne off to the side. 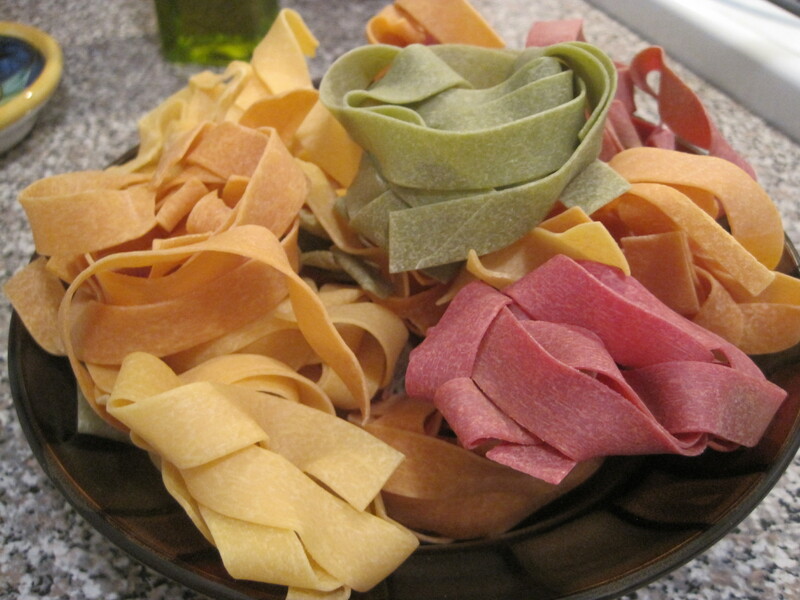 – Once pasta is boiled – drain the pasta and then combine with the sauce. 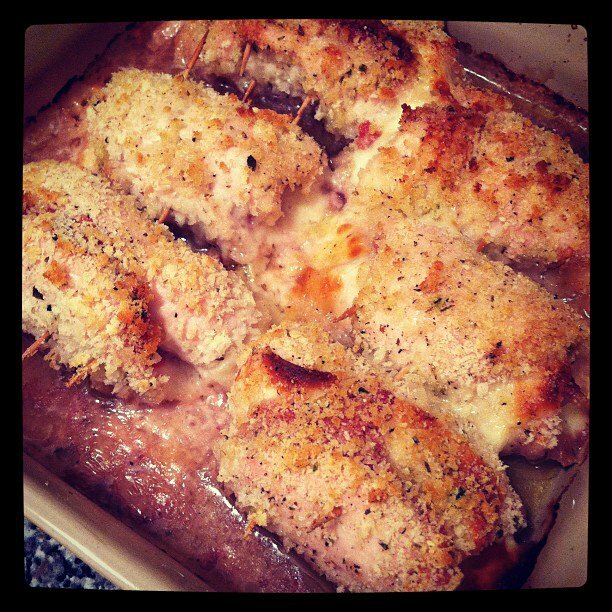 – Sprinkle in a tablespoon of grated parmesan and mix again in the sauce pan. 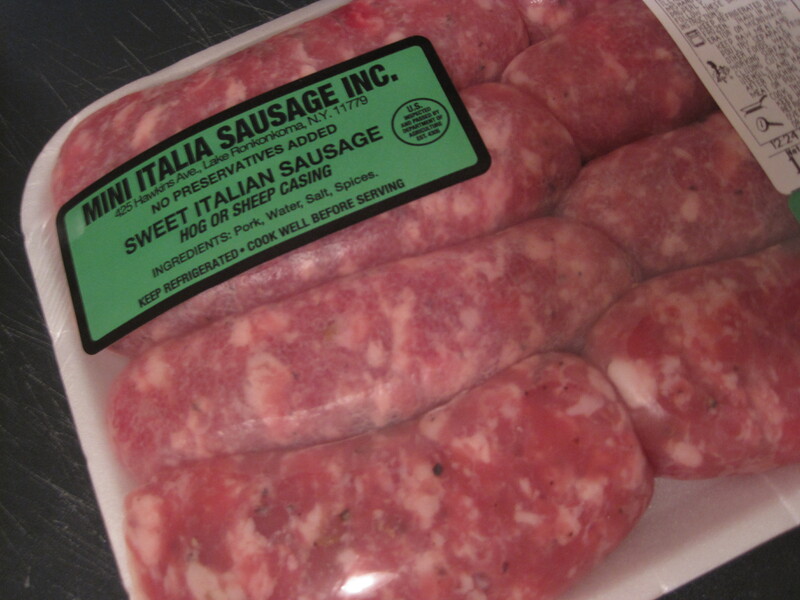 *Don’t forget to serve this with some Italian bread to sop up that delicious sauce. 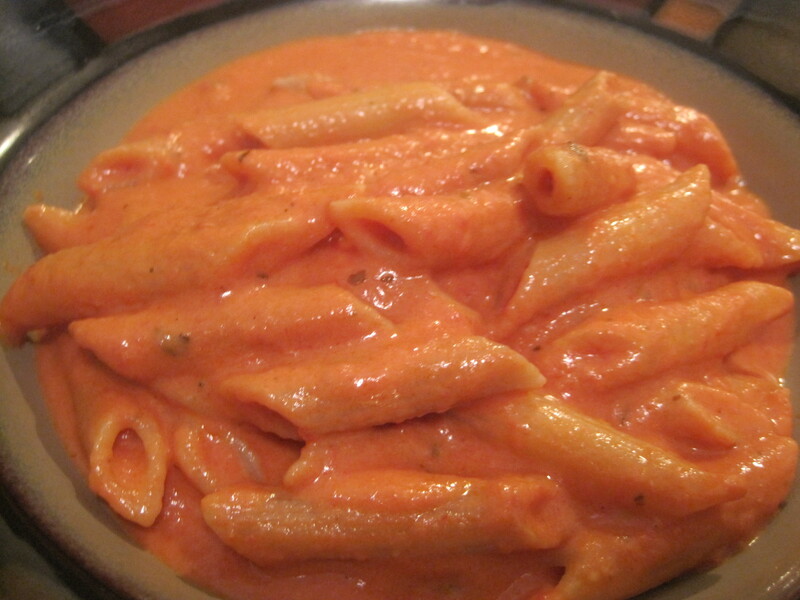 *A traditional addition to Penne Alla Vodka is usually bits of prosciutto. 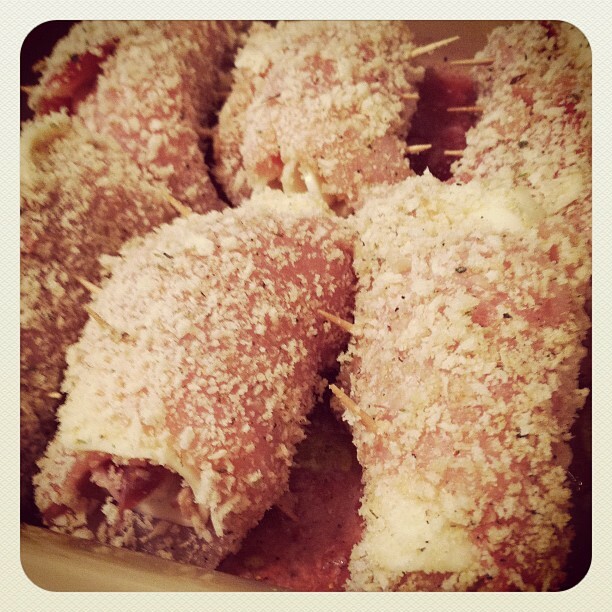 Chop up small bits of prosciutto and cook them up with the garlic in the directions for the tomato sauce. 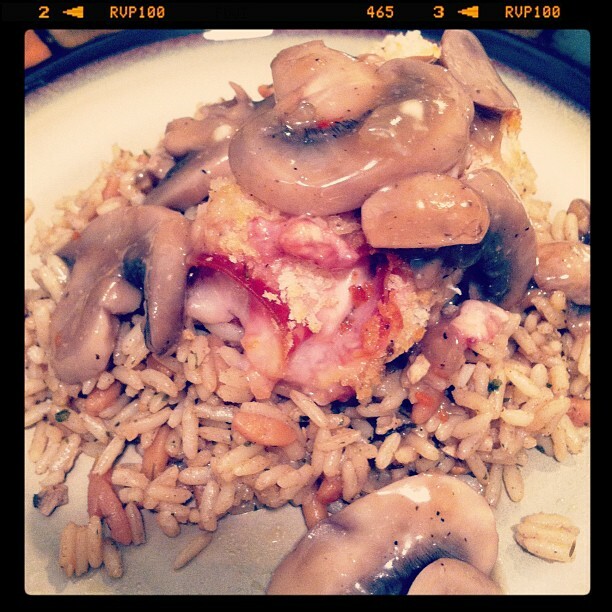 *Note you can always add in shrimp or slices of grilled chicken to this recipe too. 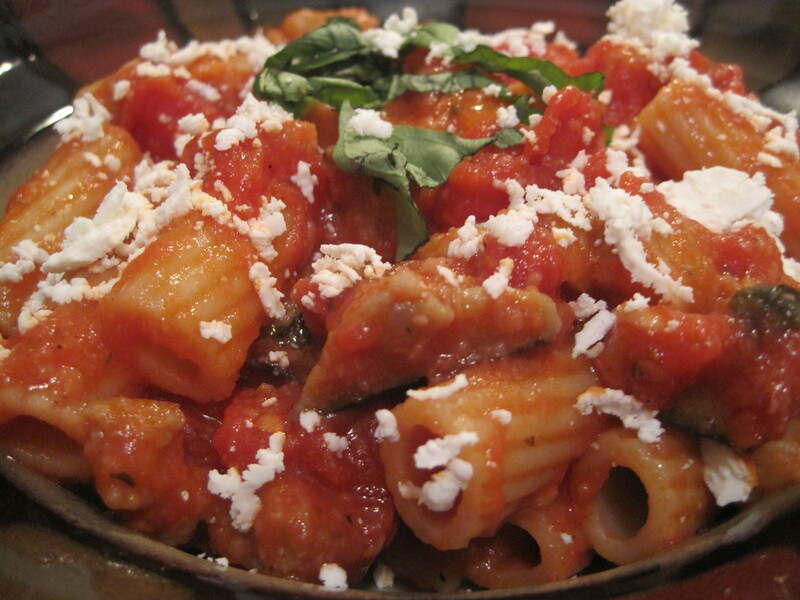 Three of my absolute favorites: Rigatoni, Eggplant and Ricotta Salata. 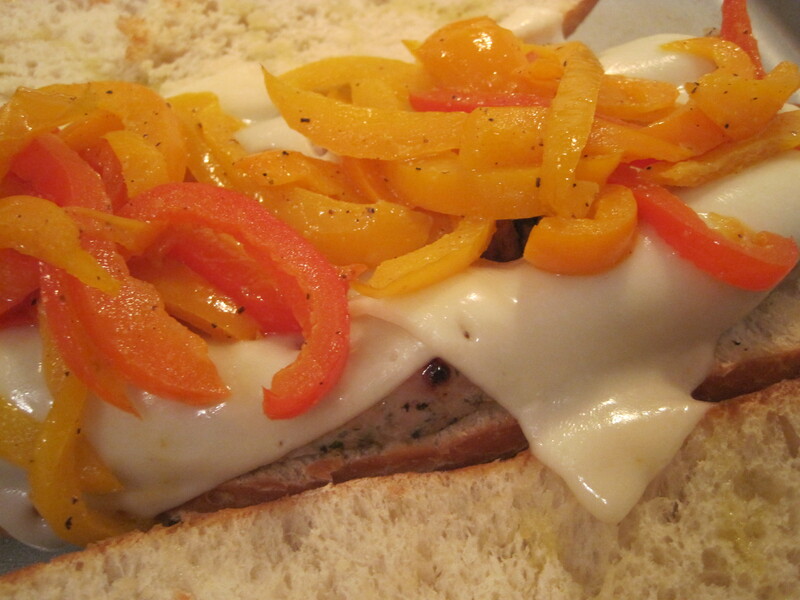 All melded together in a spicy and chunky red sauce. 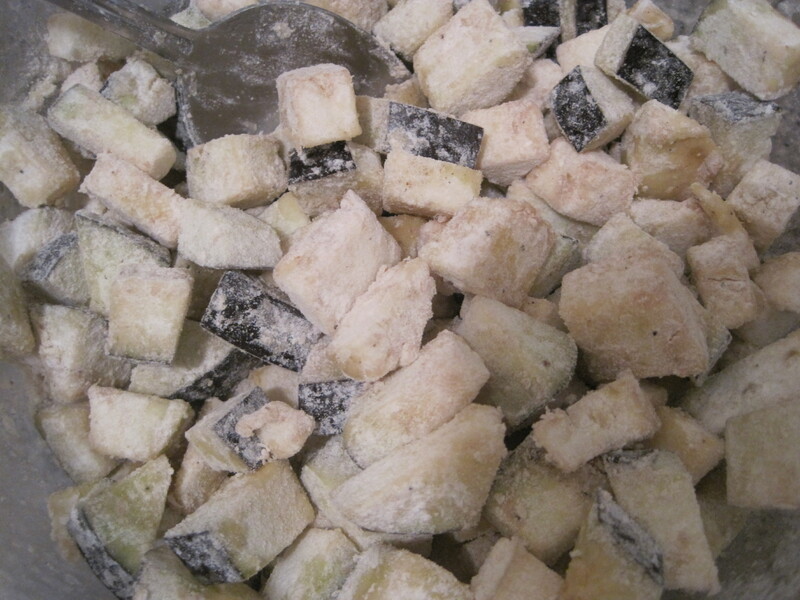 I start off by frying up cubed pieces of eggplant and then incorporating them into the sauce. Strips of fresh basil and a generous helping of shaved ricotta salata is the final step to plating this colorful and flavorful dish. 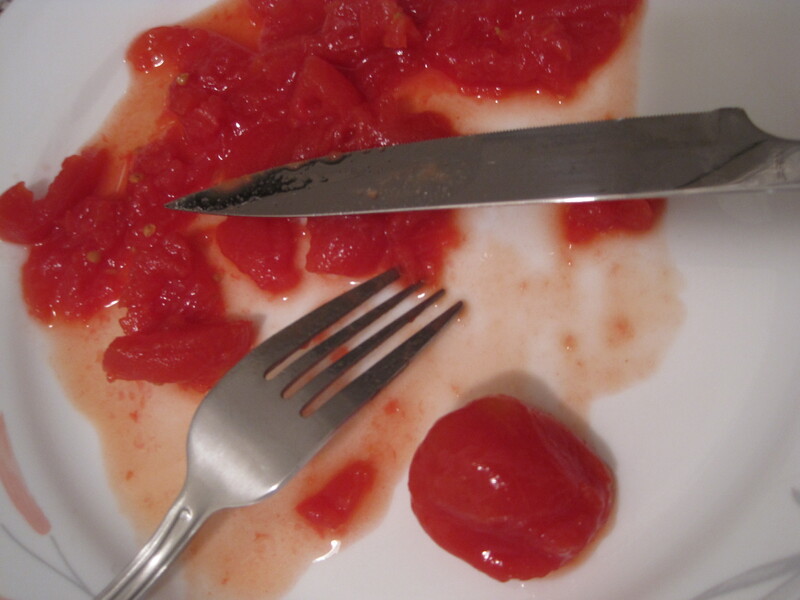 *Prep this by chopping up the whole tomatoes and reserving off to the side with all juices from the can. 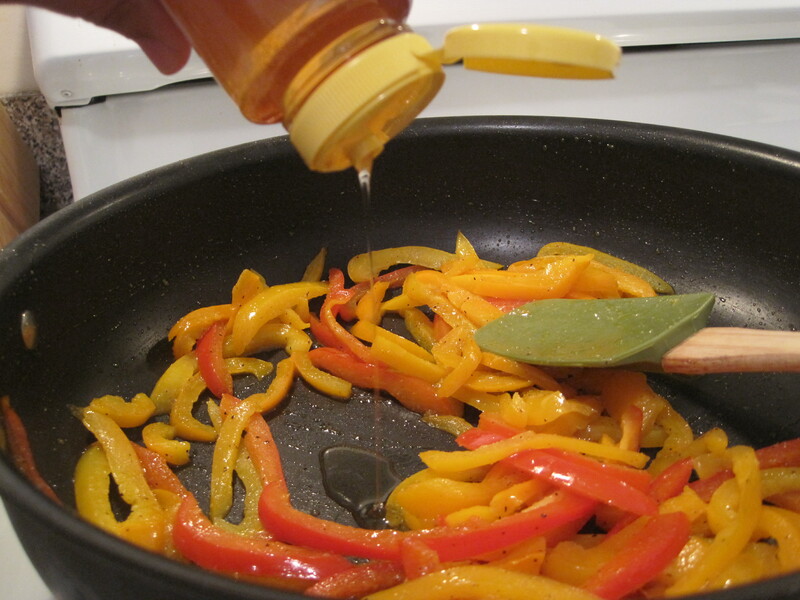 *While you are doing this have the frying oil heating up in a pan on medium heat. 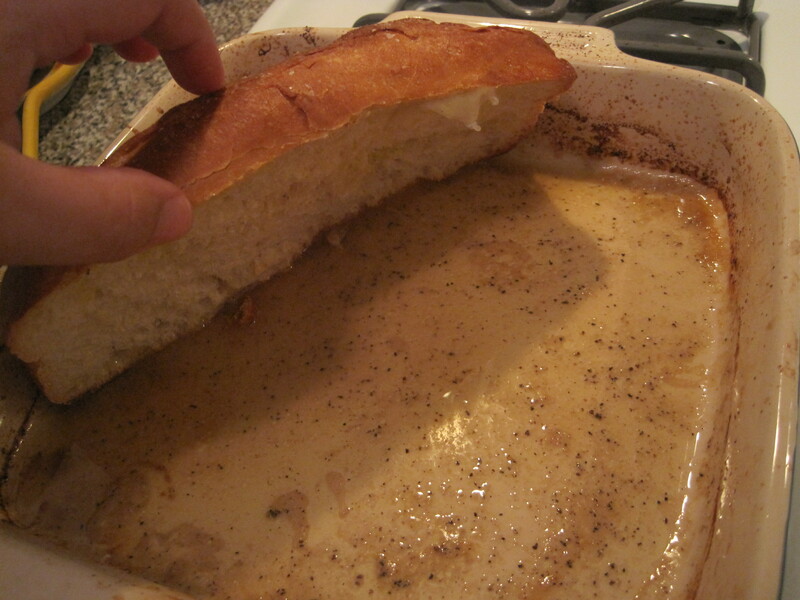 *Have your garlic for the sauce chopped and ready off to the side. *Be sure off to the side you have a plate with paper towels to place the cooked eggplant – keep this plate a safe distance from the open flame. 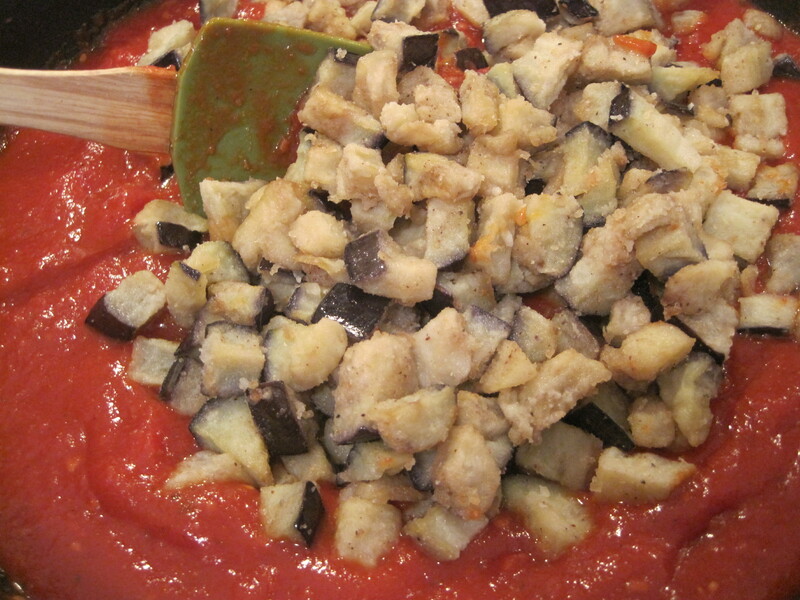 – Wash and then cut each end off of the eggplant. 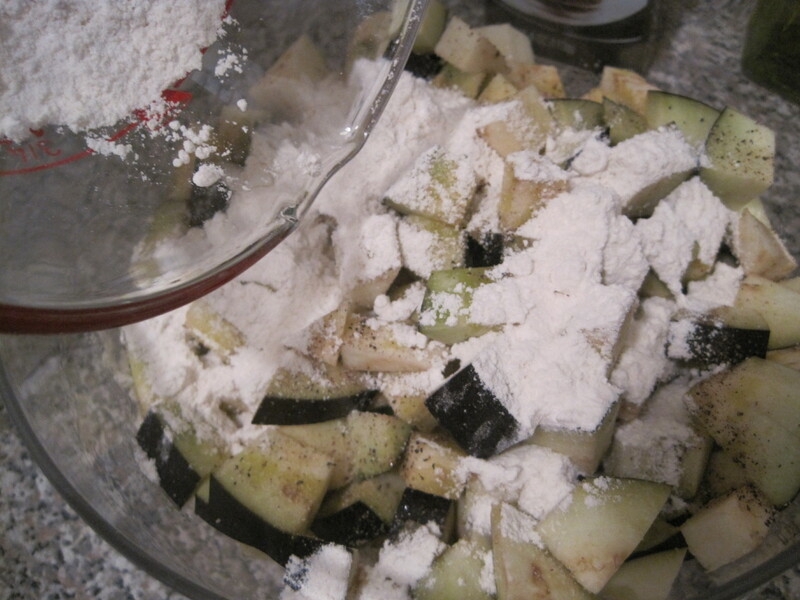 – Now cube the eggplant into pieces and throw into mixing bowl. – Place three tablespoons of Olive Oil and 1 Cup of Flour along with a couple of sprinkles of Salt, Pepper and Garlic Powder on top the eggplant. – Mix till all is coated. 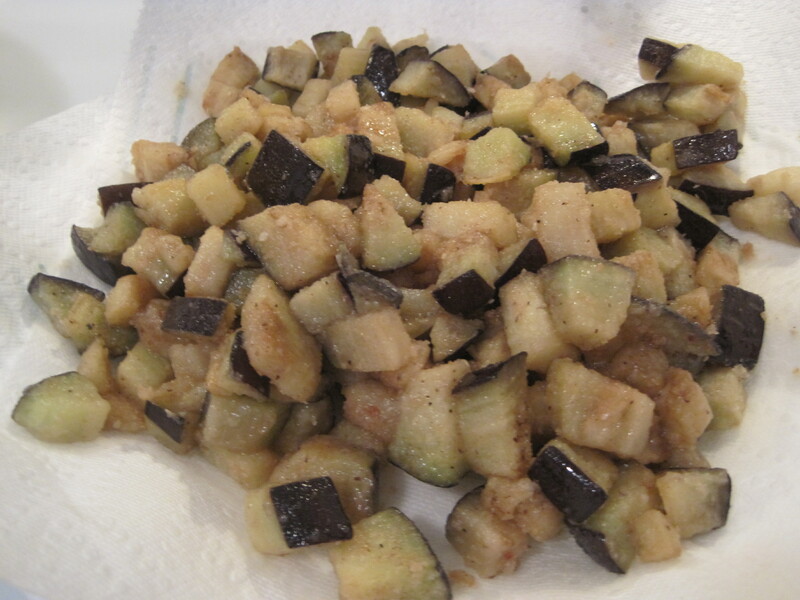 – Once completed fry up the eggplant pieces (in batches) till browned & let cool on plate off to the side. 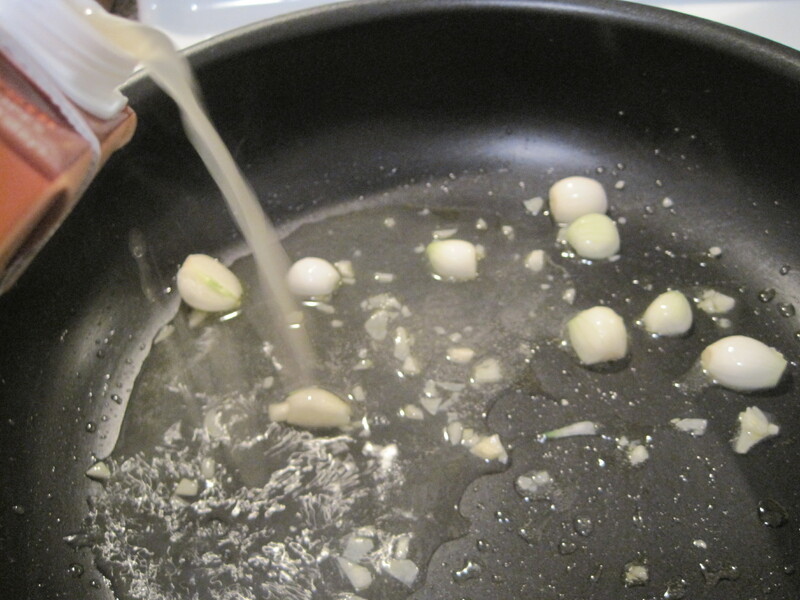 * Once completed with frying do not turn off the heat just lower and throw garlic for sauce in and scrape up the bits at the bottom of the pan while browning the garlic. * Note you will not be combining the eggplant with the sauce until it’s simmered for an ample enough time and the pasta is ready to put in the sauce. 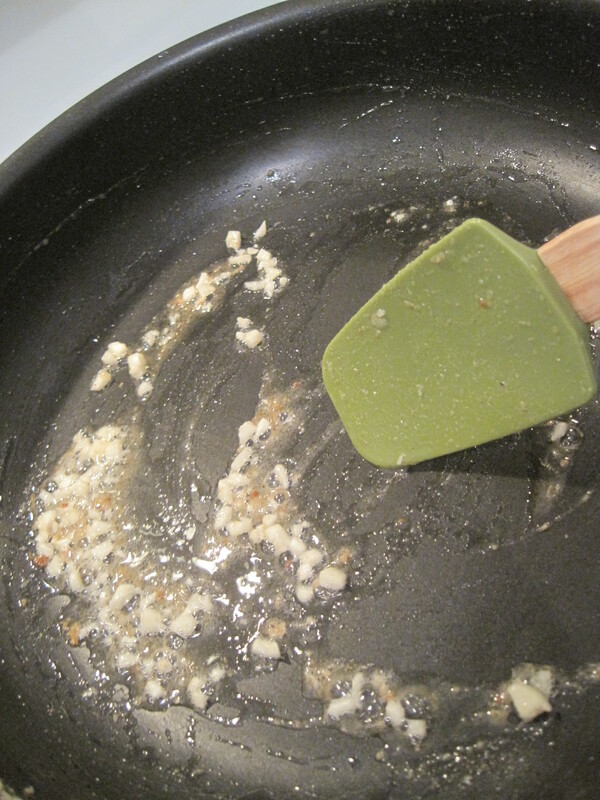 – As said above brown the garlic in the oil already in pan from frying eggplant. 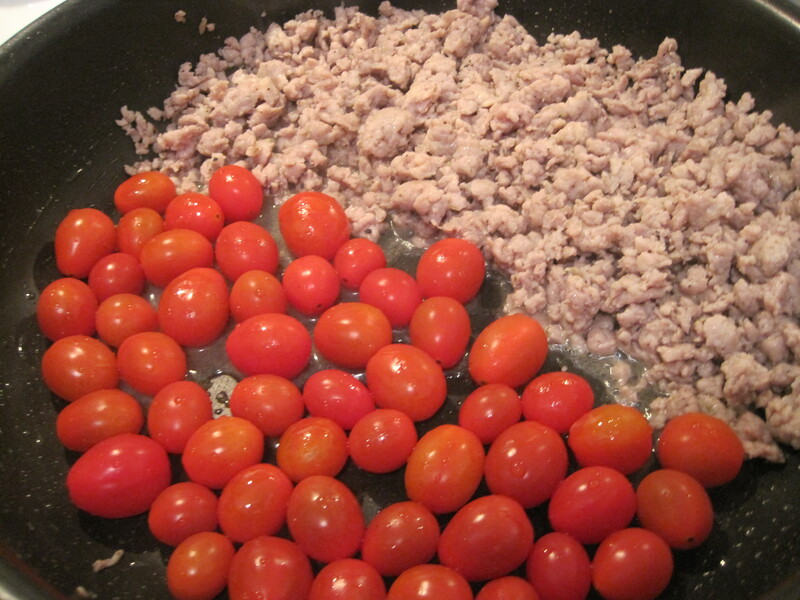 – Next add in the prepped chopped tomatoes and red wine. 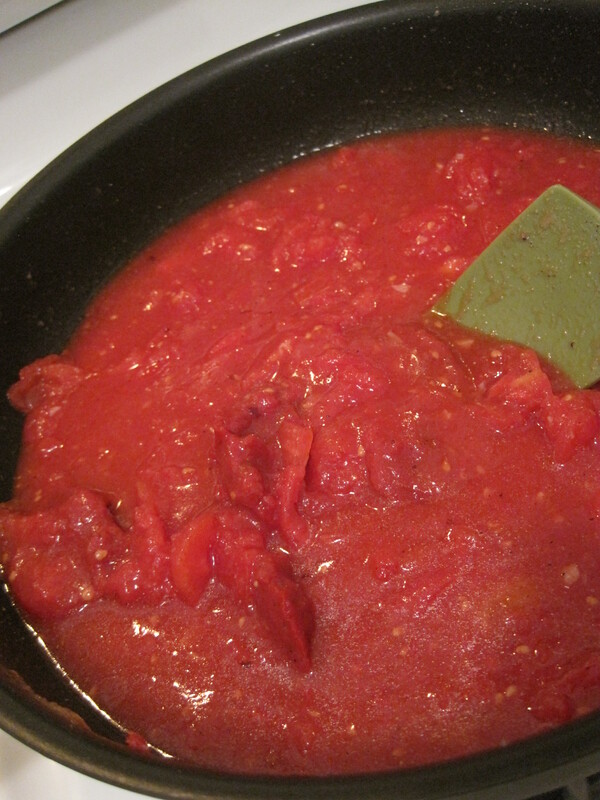 – Tear up a couple of leaves of fresh basil and throw into the sauce and as well meld the tomato paste into the sauce. 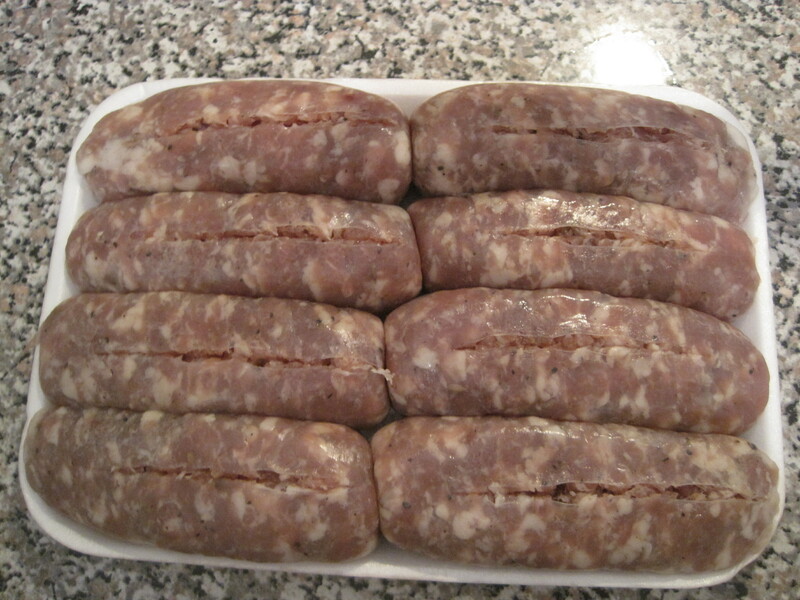 – Sprinkle in pepper, salt and garlic powder to taste. 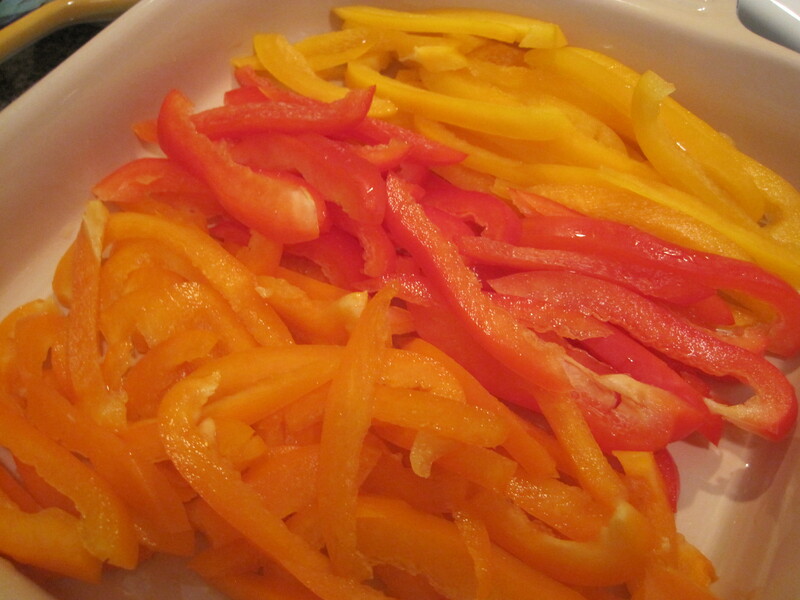 – Add in a teaspoon of red pepper flakes. 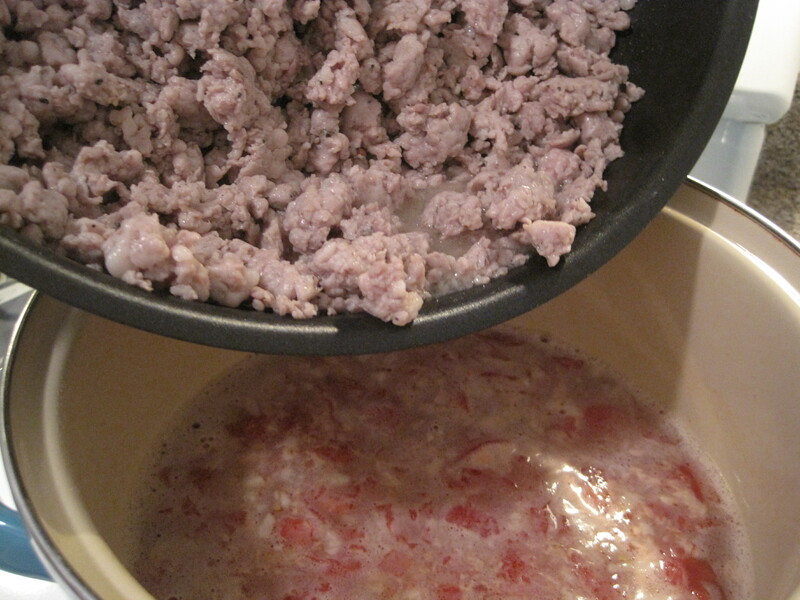 – Let sauce simmer for about 30 minutes, spinning often. 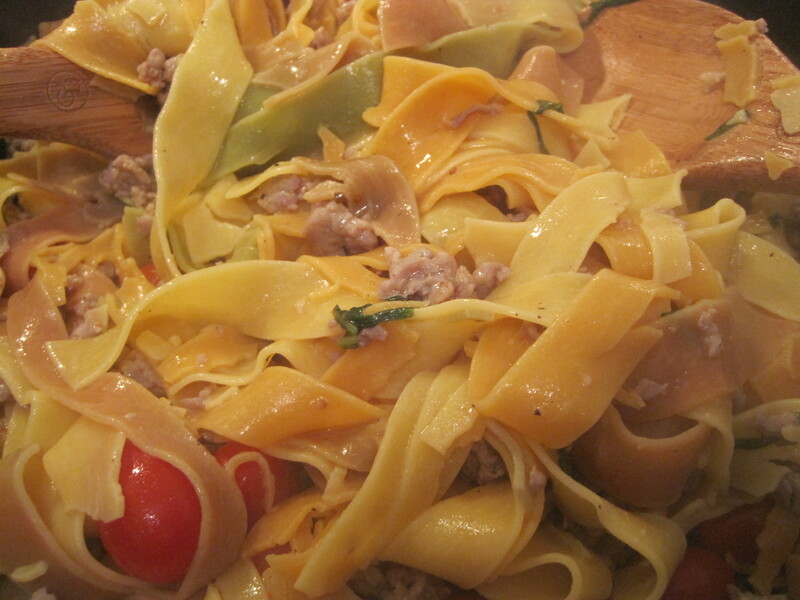 – Get pasta boiled close to end time for the sauce. 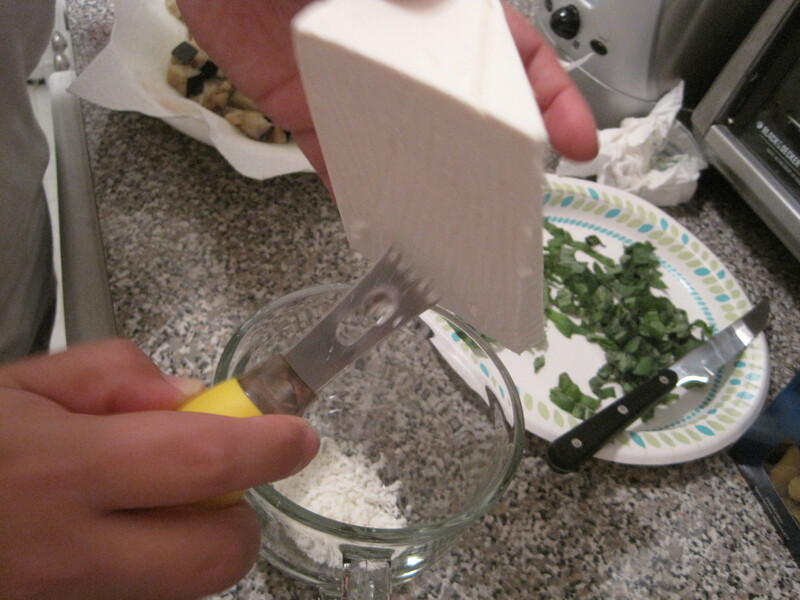 * While pasta is boiling cut up pieces of fresh basil and use a zester to grate the ricotta salata – put off to the side till plating. 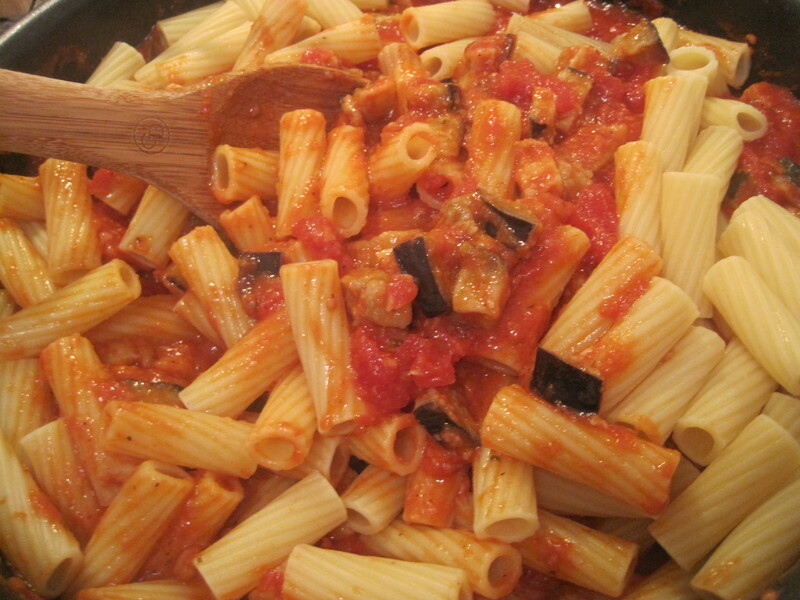 – When pasta almost cooked through add the eggplant pieces to the sauce. 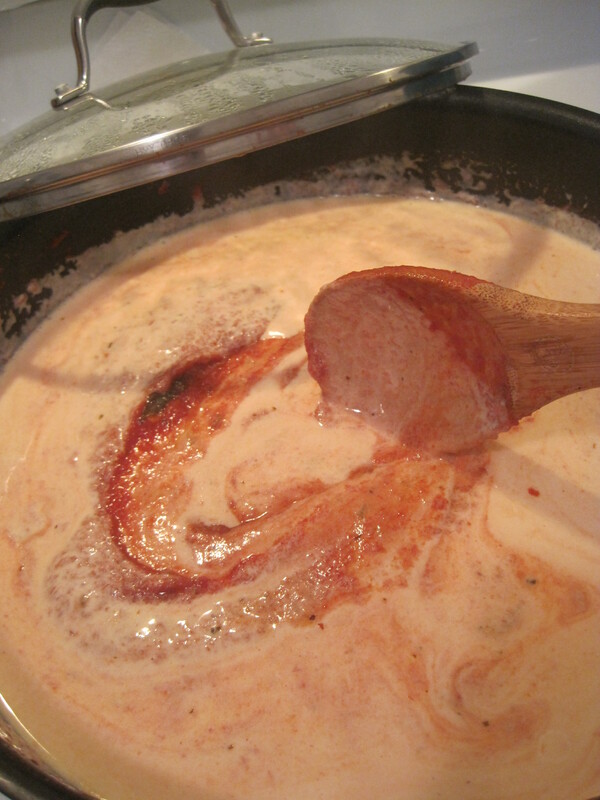 *The sauce may thicken up significantly if so you can thin the sauce by adding a spoon or two of pasta water into the sauce. 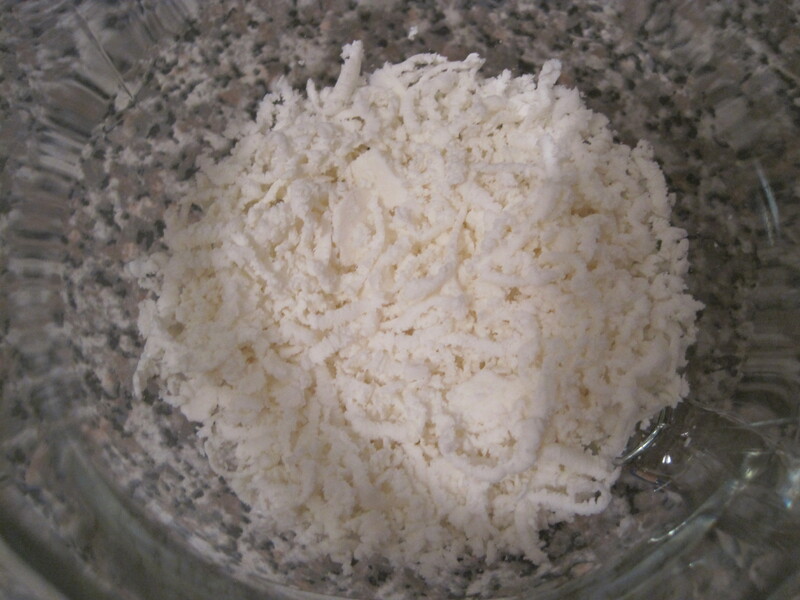 – Drain pasta and then add directly to the sauce. – Mix till all is sufficiently combined. – Plate two or so ladle’s of pasta into a bowl and top with fresh cuts of basil and a generous helping of grated ricotta salata. Sit back and enjoy with a nice glass of red! *No major side notes for alternates on this one – because its prefect the way it is. 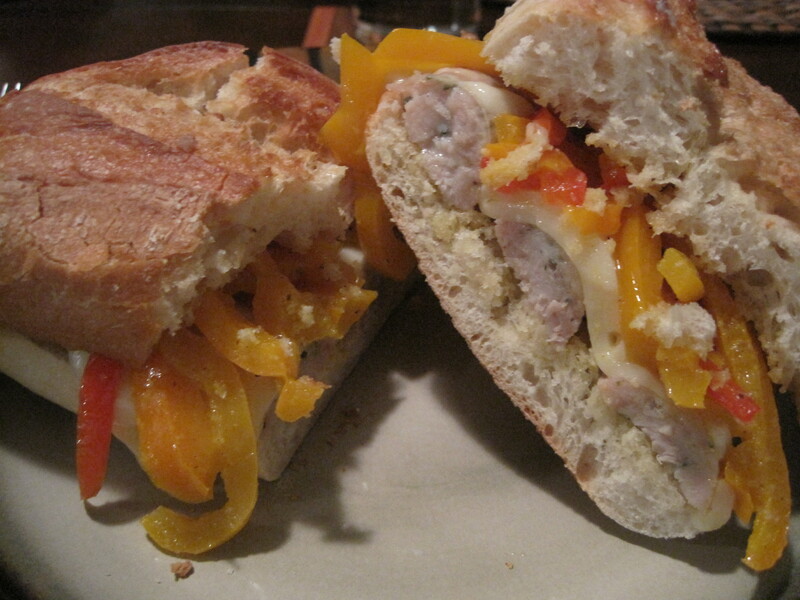 The only thing I would say is don’t be shy with the ricotta salata.